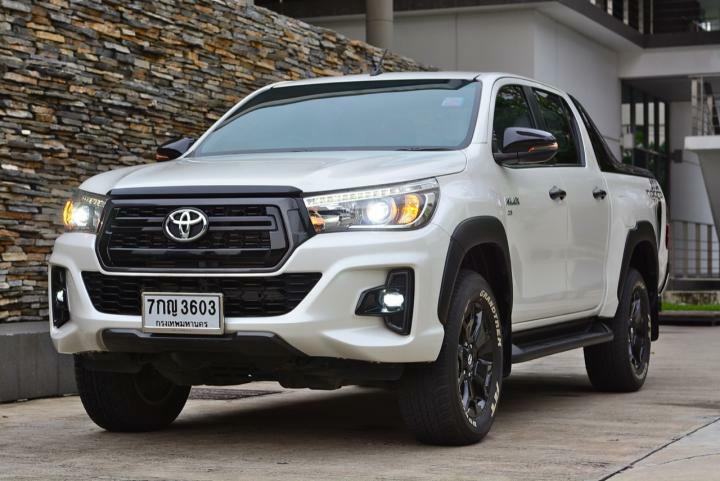 No matter who you are If looking for a pickup truck that can meet the requirements Whether driving in the city Going out to the far country, carrying goods, sending children to school or driving into the so-called flooded streets often And needing a four-wheeled pickup truck that surpasses the sedan One of the diesel pickup trucks that is likely to be used is inevitable. 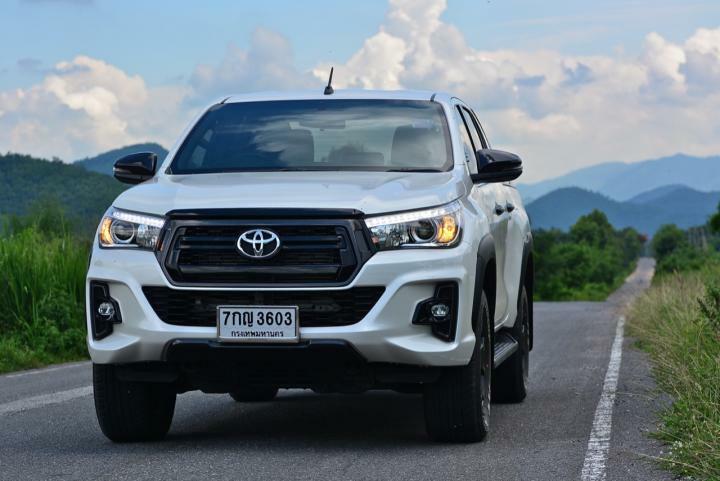 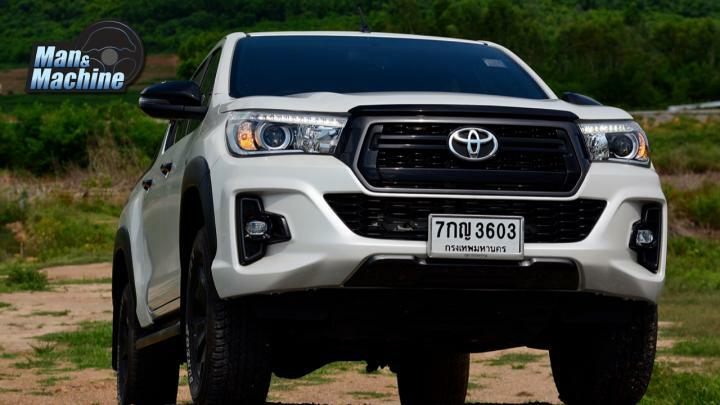 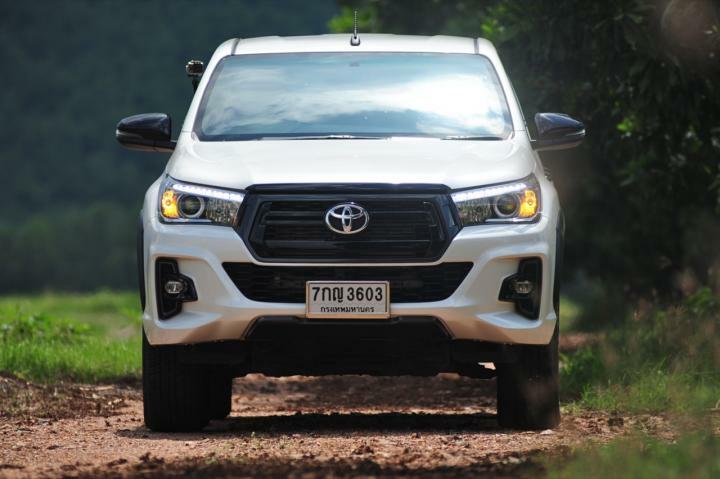 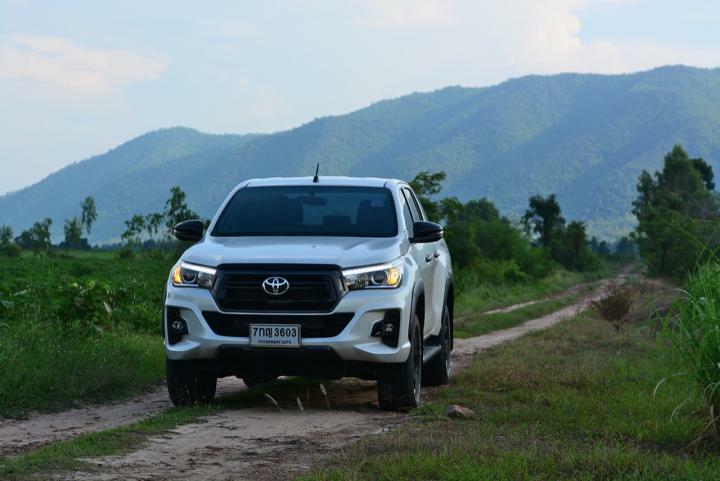 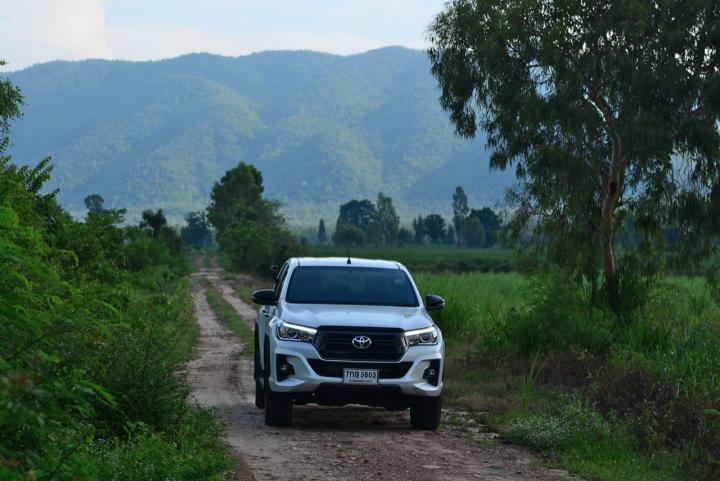 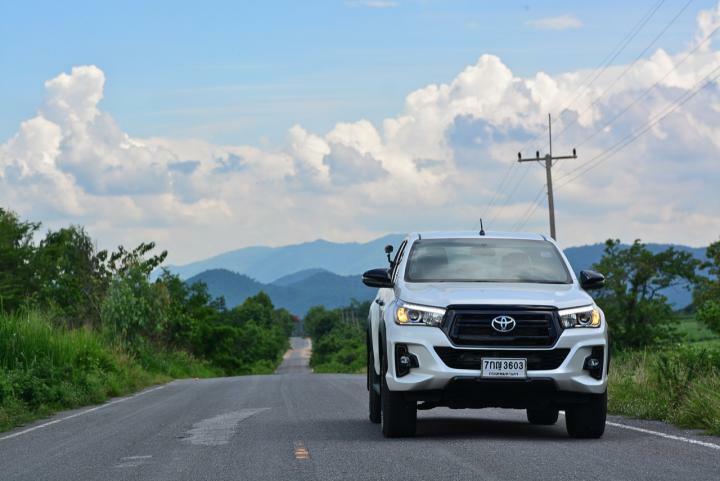 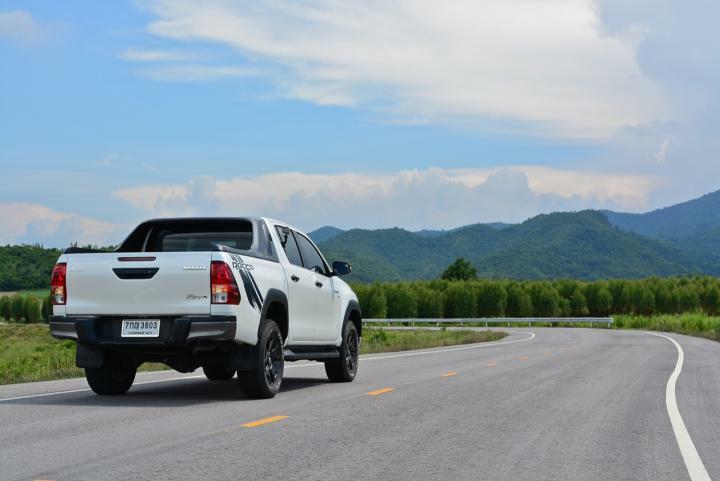 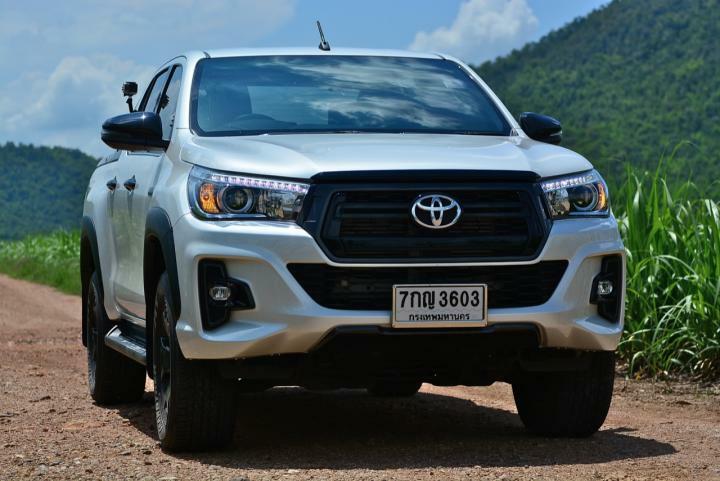 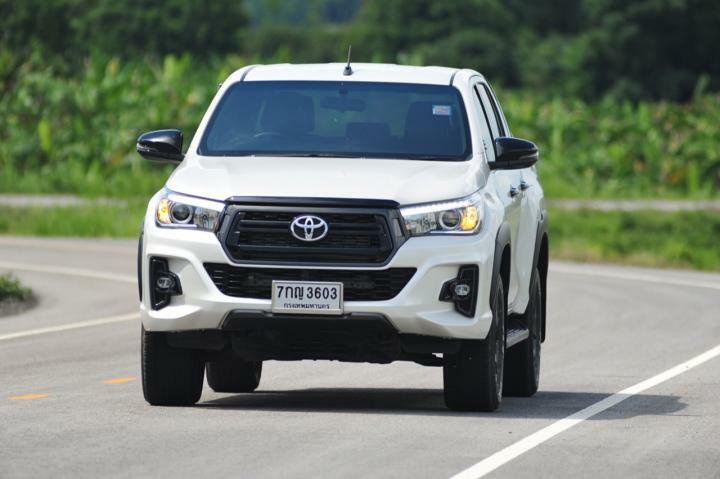 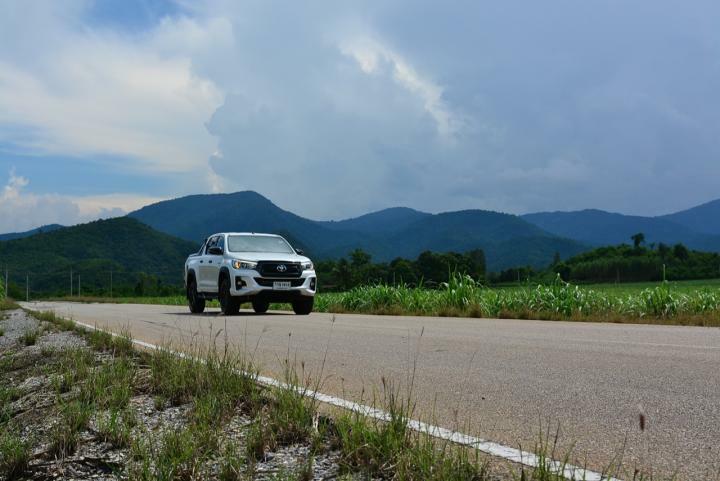 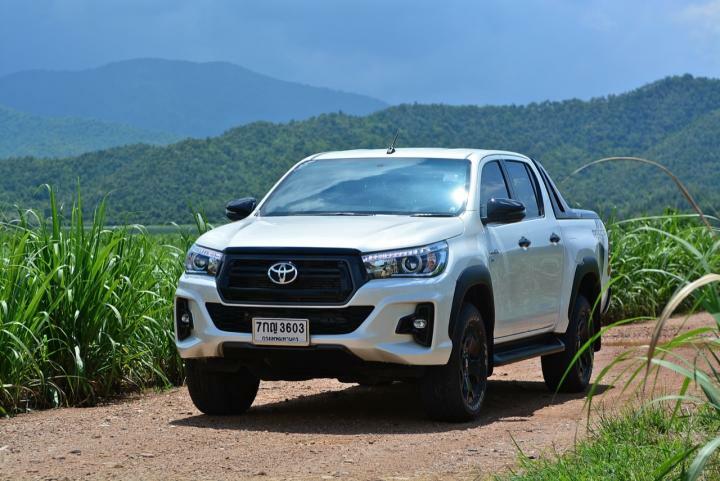 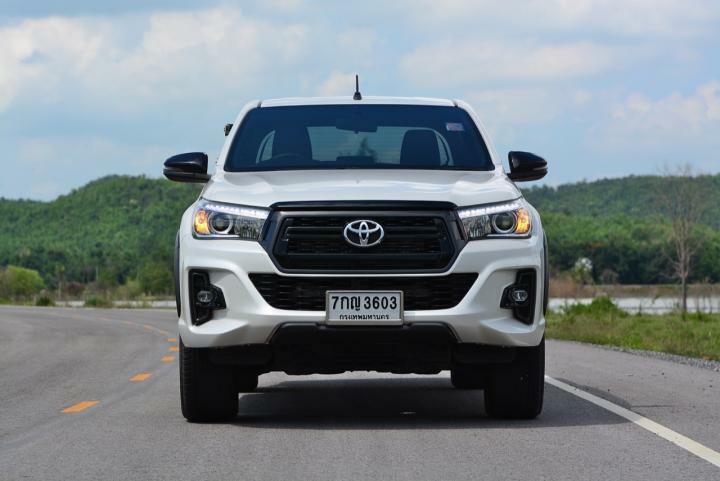 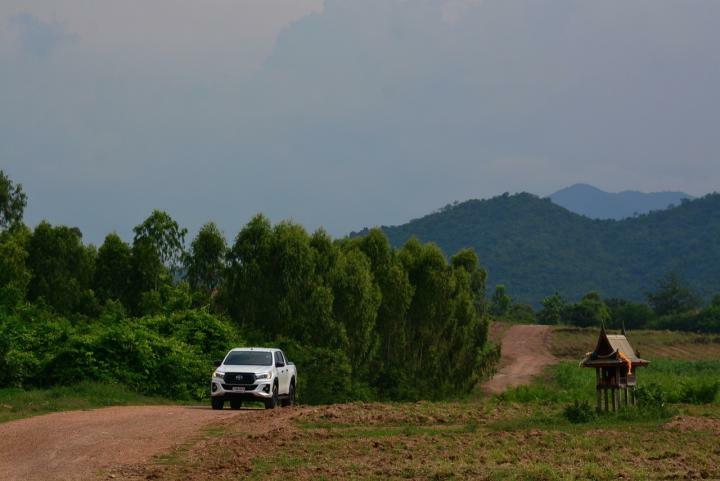 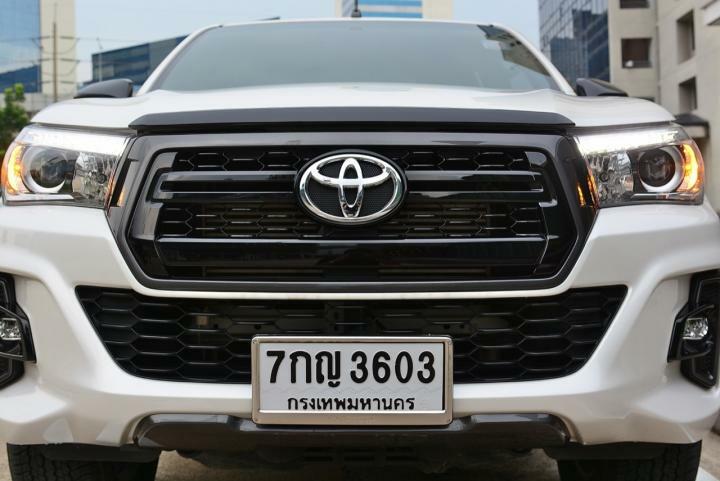 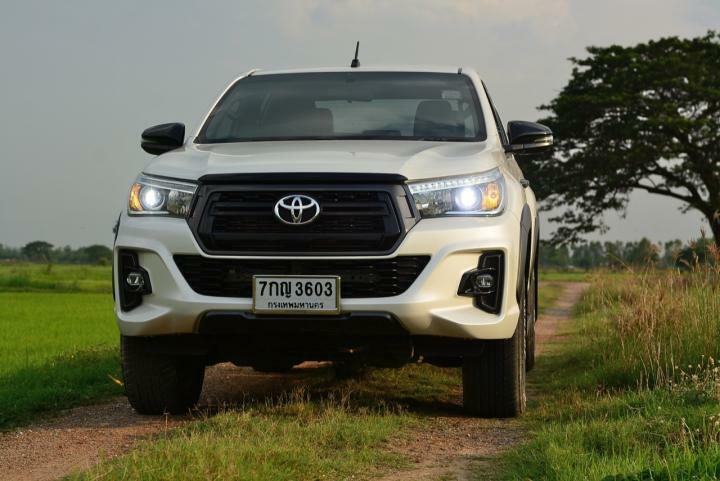 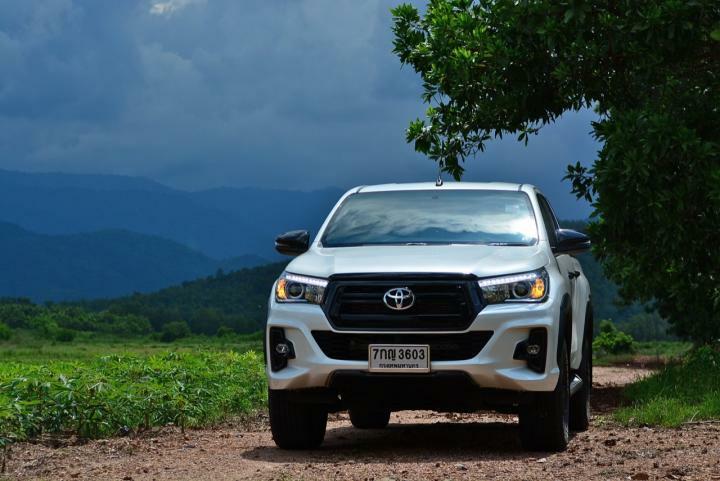 TOYOTA HILUX REVO Pickup truck, the market of Pi The three-loop camp that is resistant to both the driving performance Caring from the service center and selling price as a second-hand car is still far above the competitor’s car. 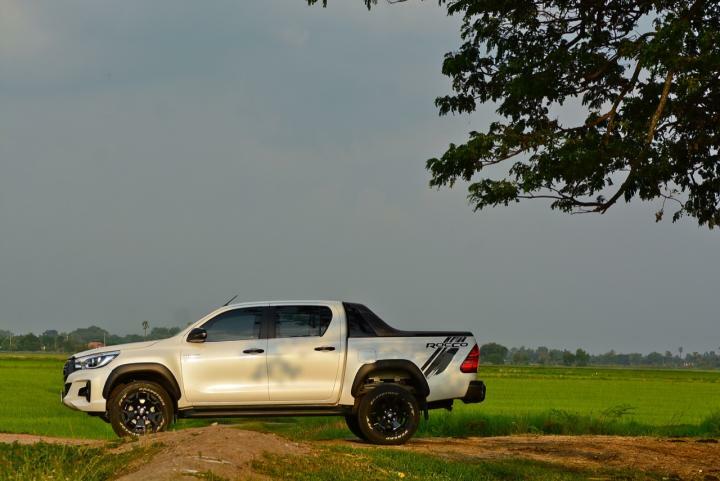 In particular, the ROCCO pickup truck is good enough to become a new vehicle in the flood season that is coming soon. 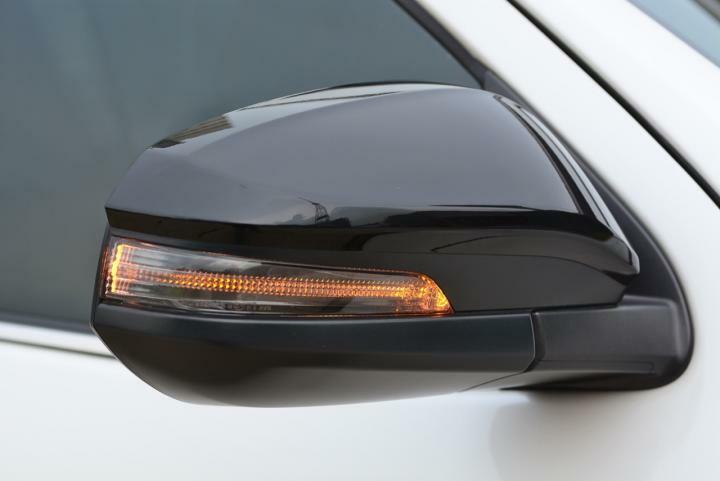 Metallic black side mirrors, adjustable and electrically foldable with a turn lamp. 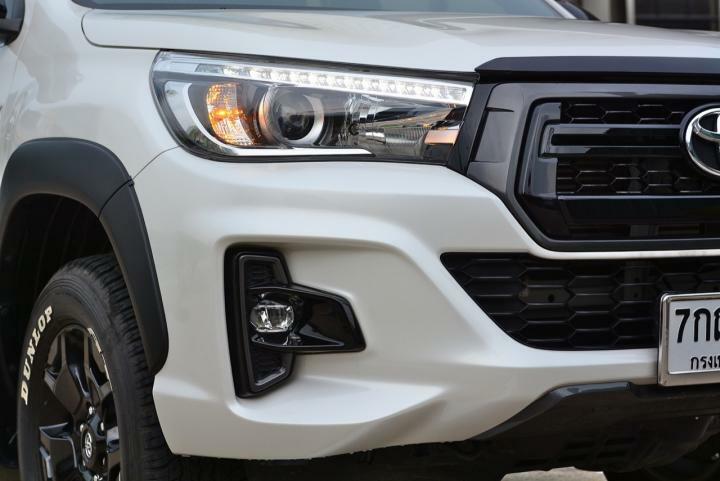 Front color spoiler with the body With front bumper decoration set With air intake grille made of black plastic Fog lights surrounded by plastic pieces, piano paint, black The workpiece is covered in the bottom of the front spoiler. 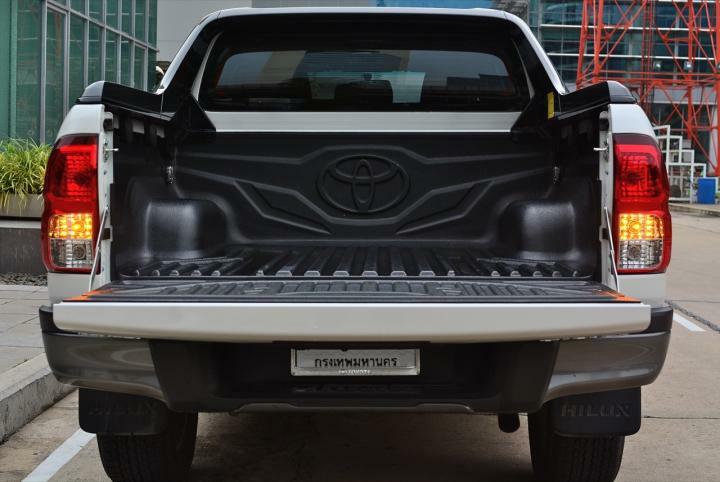 The four wheel arches have black cushioning plastic. 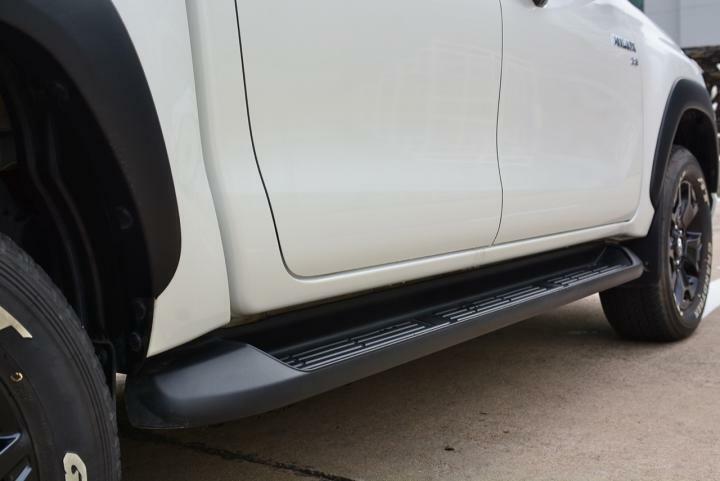 The black staircase is made of hard plastic. 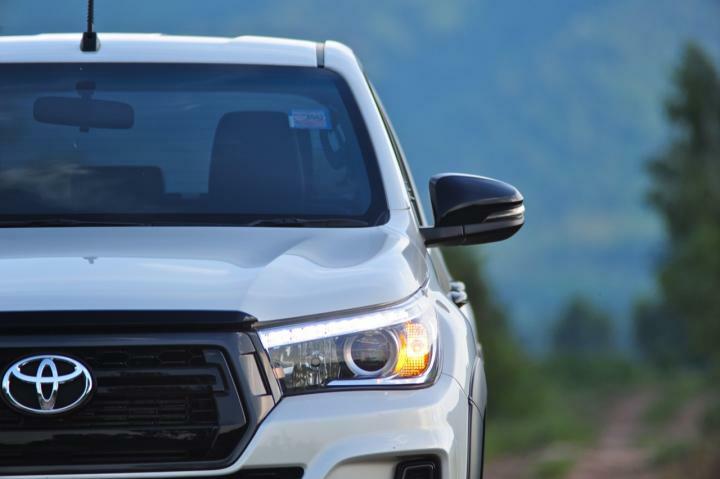 Overall, Rocco’s new front looks make Toyota’s best-selling models look better. 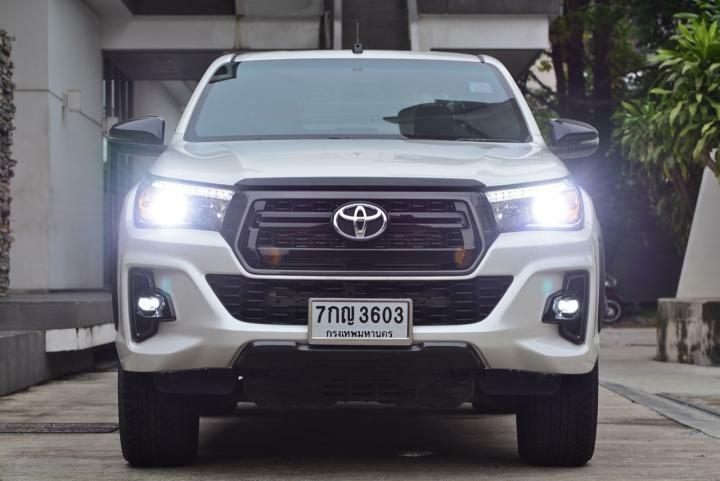 Dimension of the body of the pickup truck Hilux REVO Rocco, 4-door model, Double Cab test car, White Pearl Crystal, has a length of 5,345 mm, width 1,855 mm and a height of 1,815 mm. 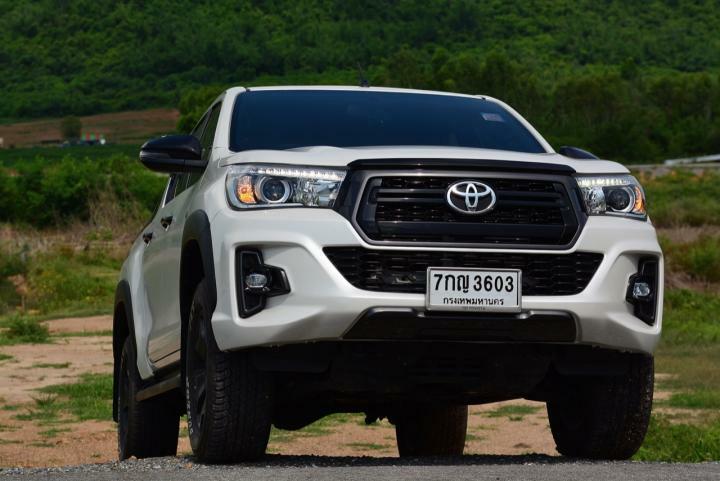 The wheelbase length is measured from the front wheel hub to the back 3,085 mm in width. 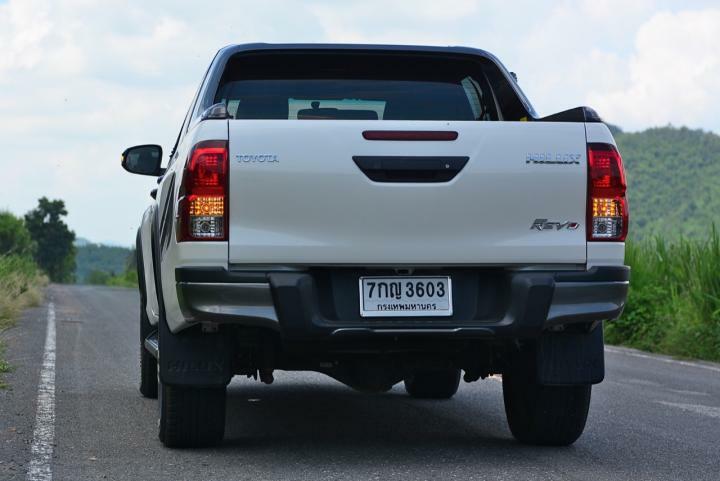 Of the front wheel base – rear 1,540 / 1,550 mm. 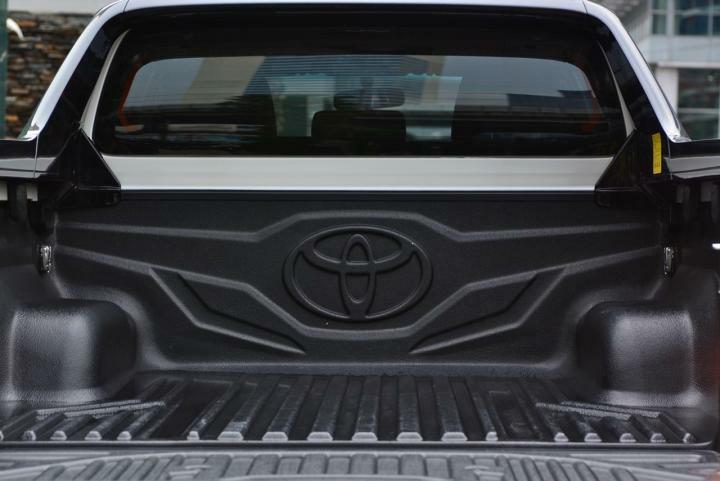 The height ratio for wading from under the belly to the floor is 217 mm. 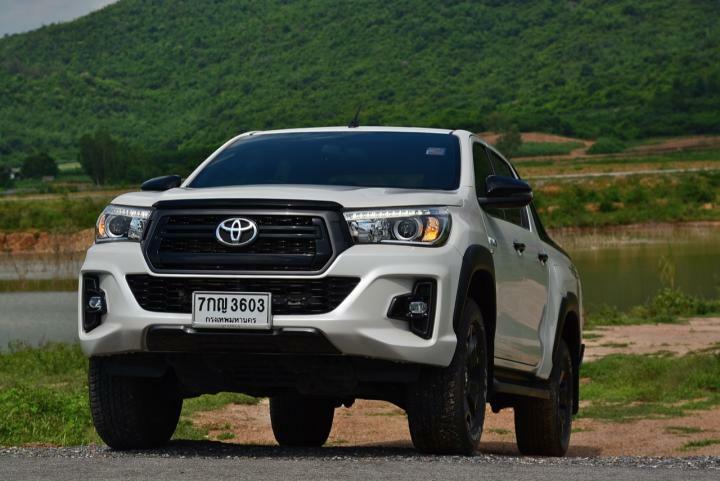 The lateral chassis looks better than the previous model from the side wheelbars of the wheel arch. 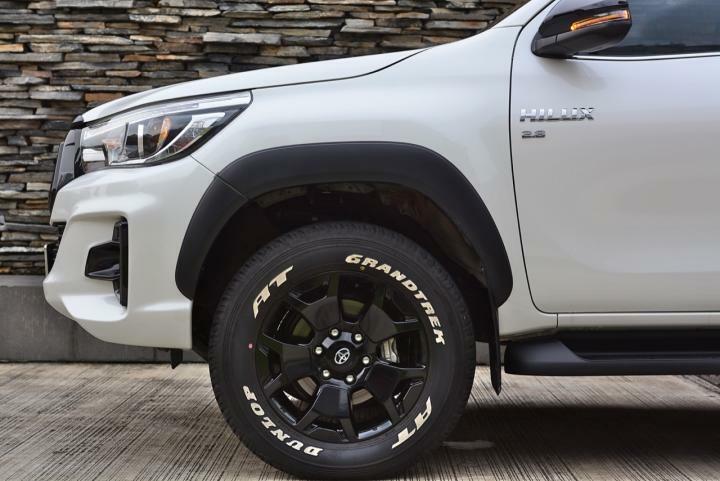 Designed perfectly, especially the rear wheel arch that is aligned with the side of the Hilux REVO Rocco 4×4 2.8G AT Double Cab. 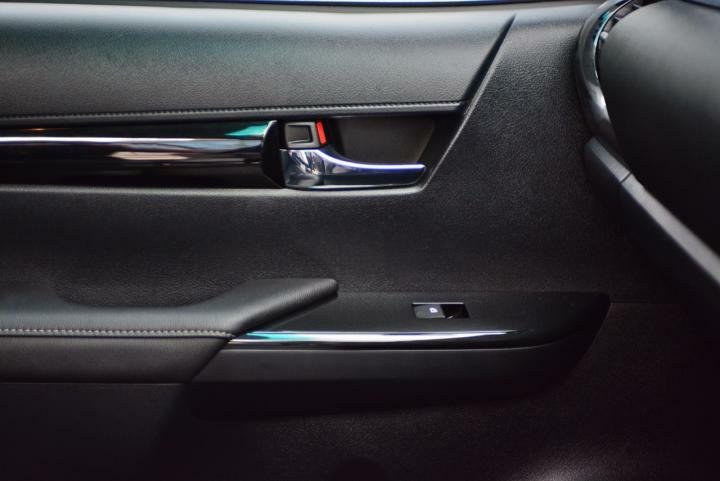 It also allows easy entry and exit from the cabin. 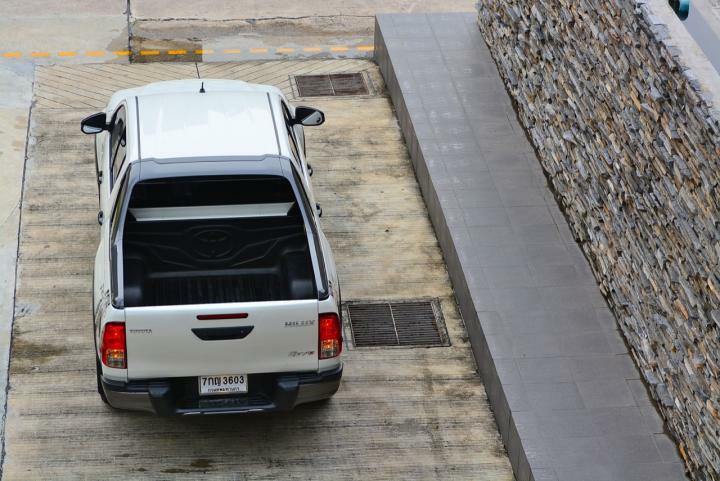 Up and down from the height Big Elephant The size of the tailgate is 1,540 mm wide, 1 length. 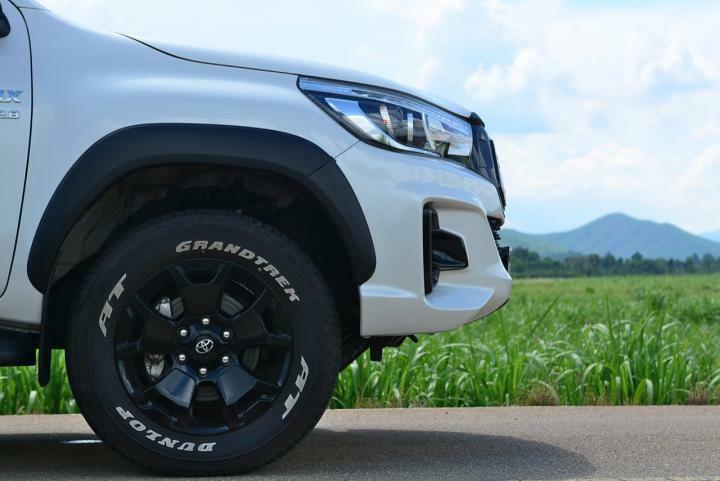 Dunlop Grandtrek A / T tires, size 265/60 R18 All Terrain, all four wheels can be used to go to a moderate level or use to run on the flat, it works well. 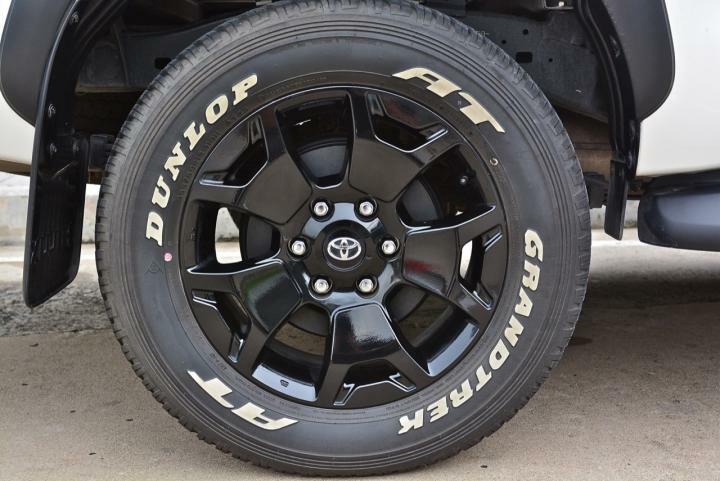 Is an off-road tire for pickup trucks and SUVs that are effective. 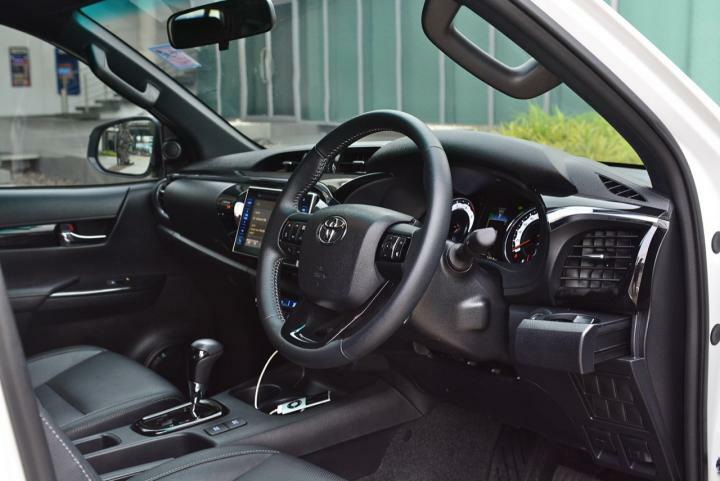 In the rear door of the REVO 2.8G AT Double Cab Prerunner 4×2 is similar to small, but when opened and stepped up to sit in the back seat passengers can easily enter or exit the car. 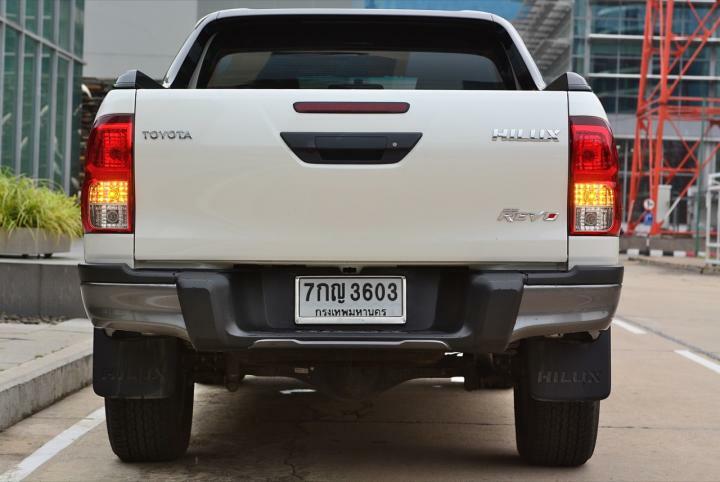 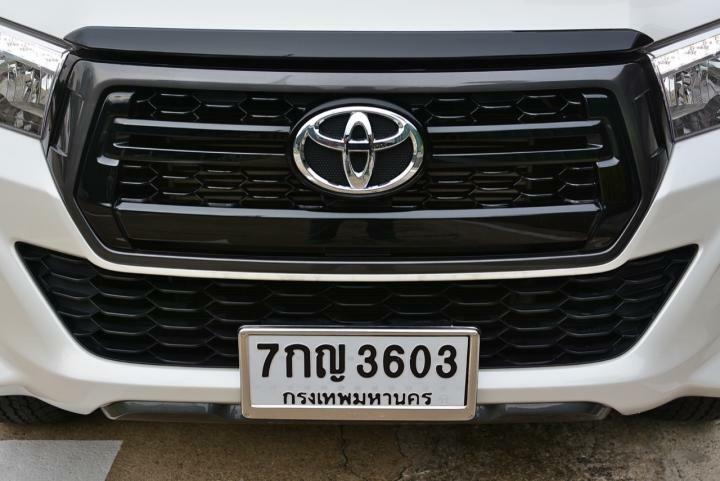 Not as cramped as originally thought The end cap, which is designed to handle the opening of the end cap, is completely new, with the third brake light, along with the silver metal bumper, similar to the previous model Hilux Vigo. 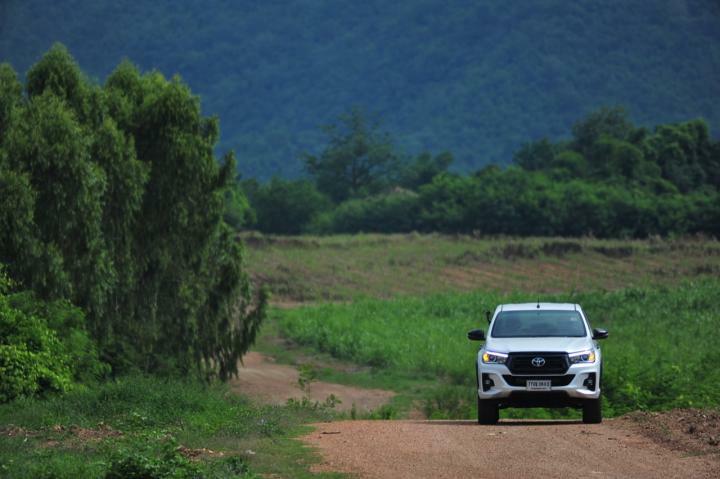 In the same position The tall body is perfect for driving on a steep road. 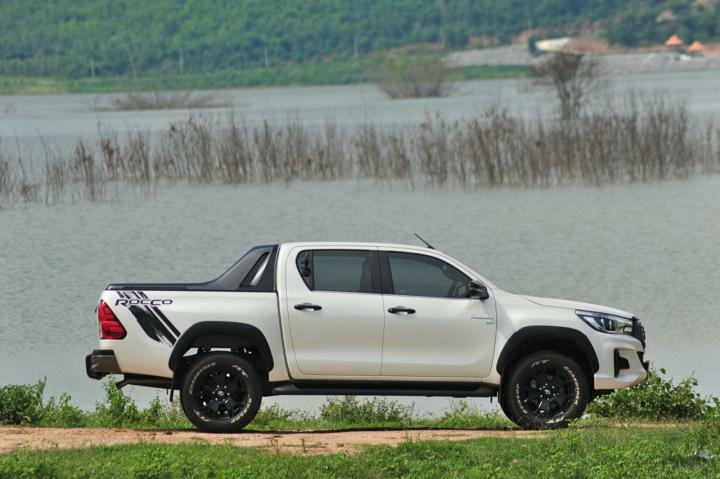 8G AT Double Cab is not the least in front of rival cars in the field of convenience equipment. 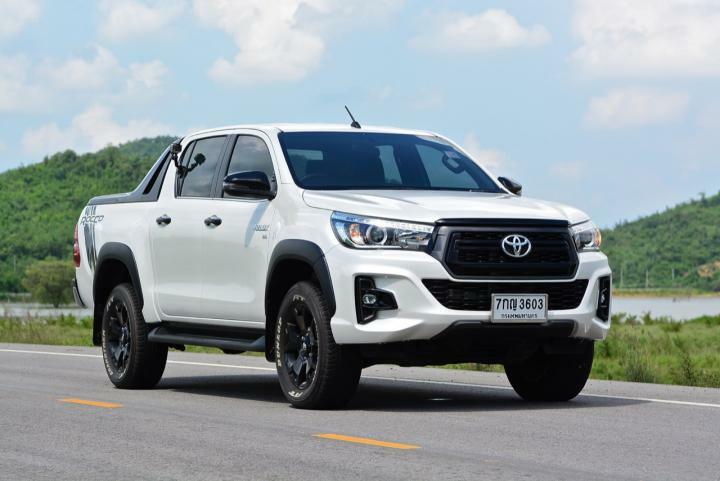 Although acting as a pick-up truck Counted as a large size pickup truck that is as good as the 4-door pickup truck, powered by 4 wheels of all competitors From the style of the center console Positioning of gear arches Multi-function monitors, touch systems and a hard-steering style 4-spoke steering wheel. 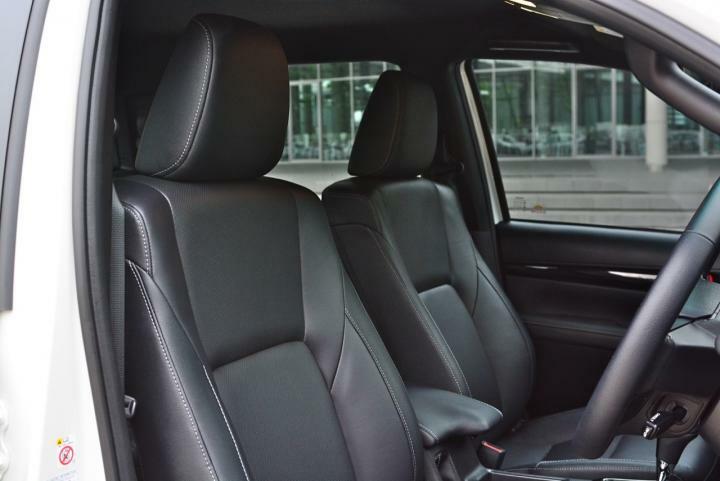 Its passenger seats are wrapped in black leather. 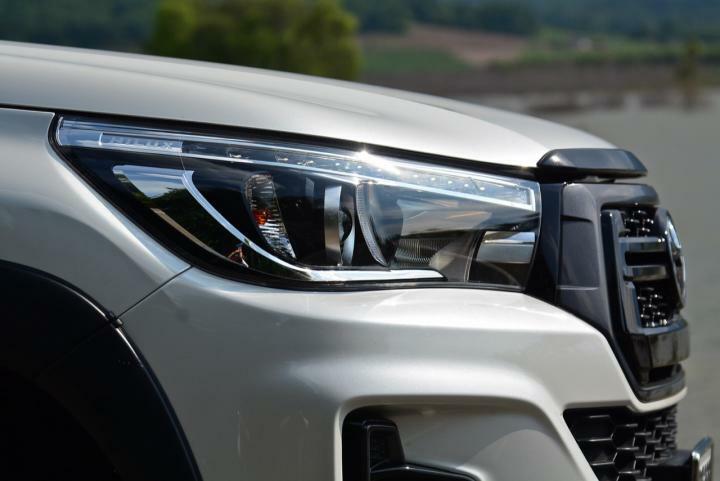 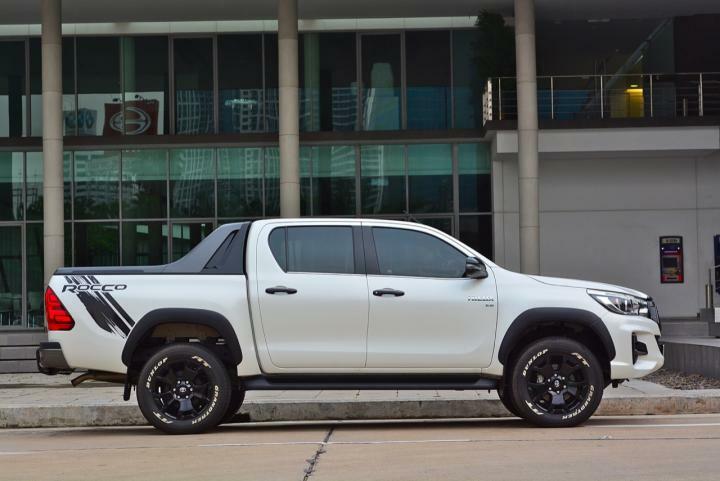 Including the door panel and the roofing material, the black tone inside of the Hilux REVO Rocco has a luxury embellished with the accessories of the popular coupe that looks similar to the Toyota Corolla Altis. 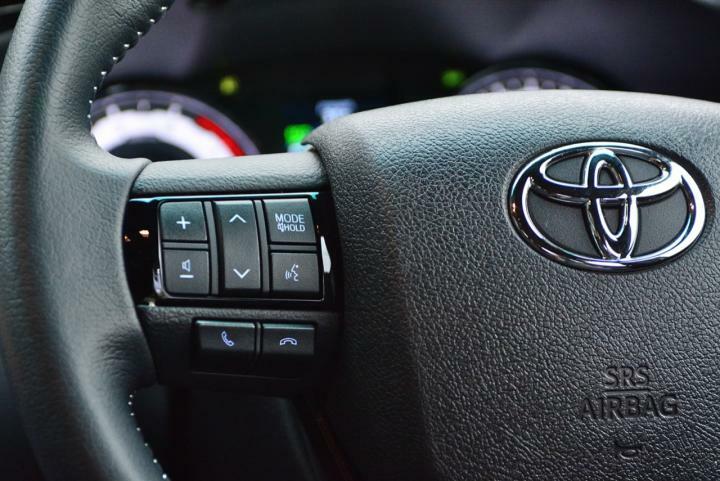 Ordering to work on the screen is convenient, not having to reach out to a lot of things. 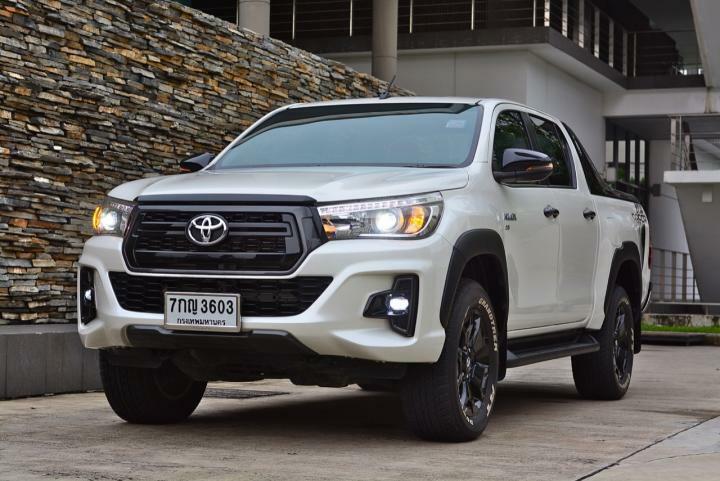 The favorite and hit is the console that is different from the pick-up competitors, clearly in terms of design, color and ease of use. 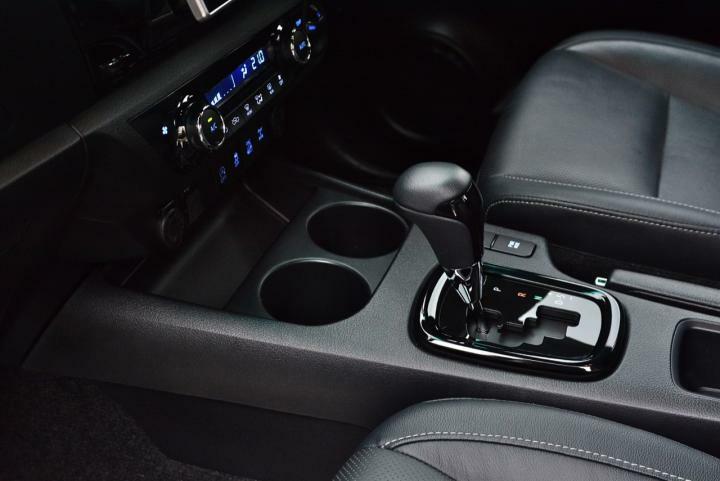 The equipment installed in the console, both the monitor. 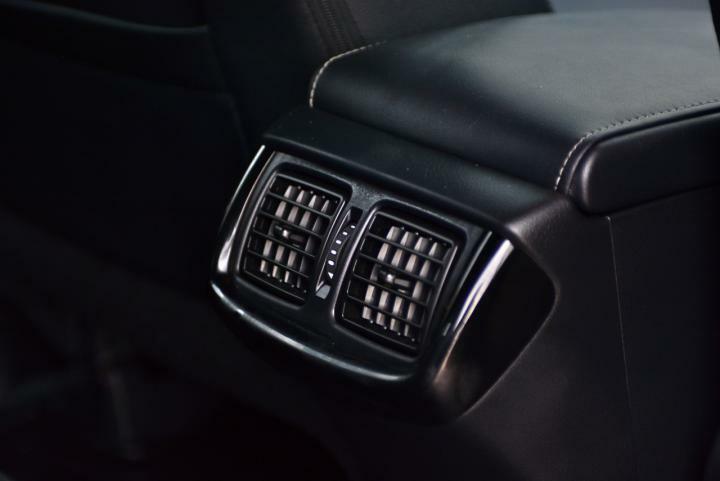 The air-conditioning panel is lined with shiny black plastic and the temperature control in the cabin is entirely digital. 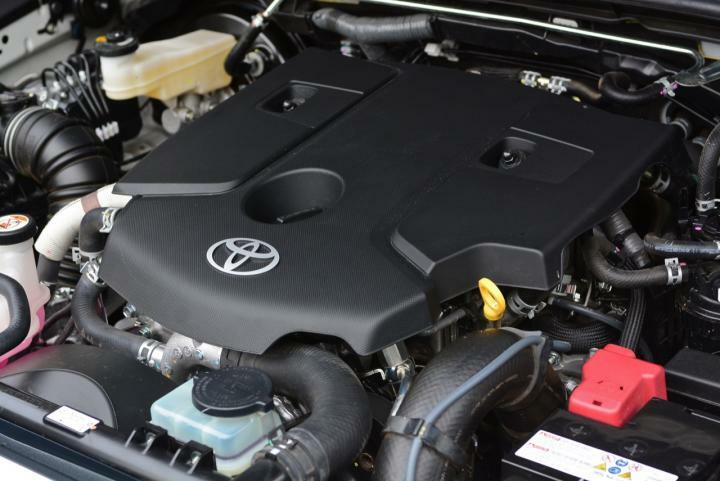 The top air box has a digital clock in the middle. 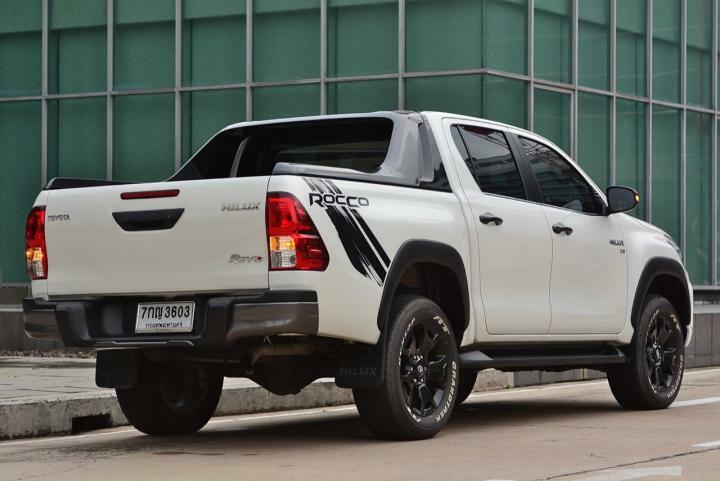 The design for some specimens is worth using, such as Wind direction adjustment box with engine start button similar to the one million sedan The favorite part of the car, another position, is the gauge of the Hilux REVO Rocco 2.8G AT with details and interior colors as if Lexus, a luxury car under the banner of Toyota. 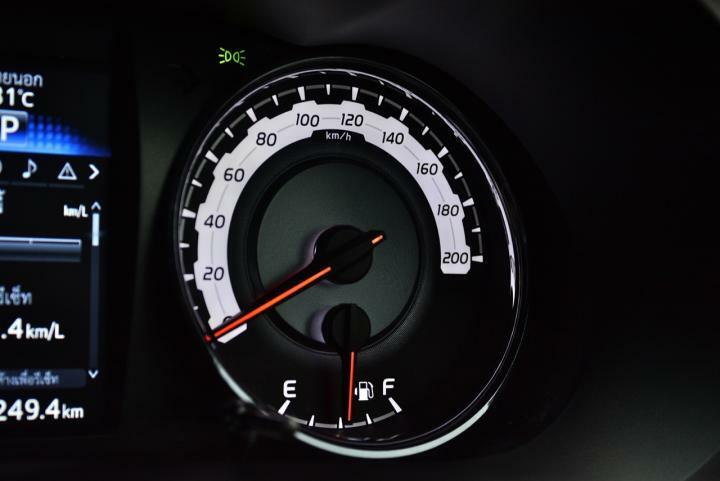 White tone gauge Use black numbers on a glowing white background with a red needle to make it easy to see and clearly read the value. 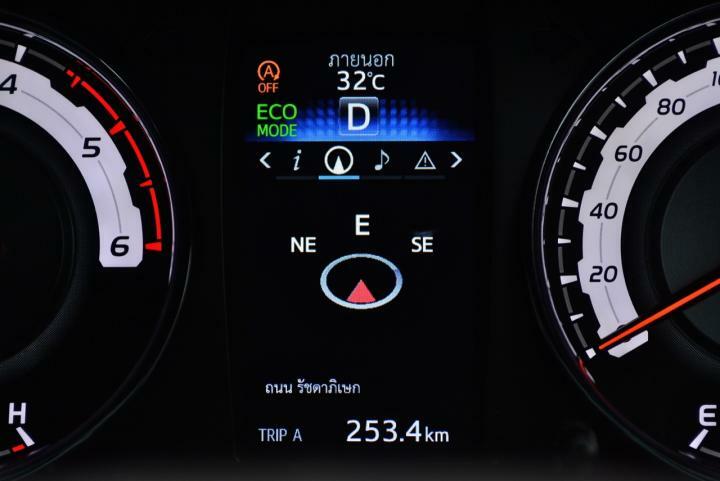 Both the right-hand speedometer and the left-hand engine gauge In the center of the gauge, either place the MID or Multi information display using TFT or Thin film transistor. 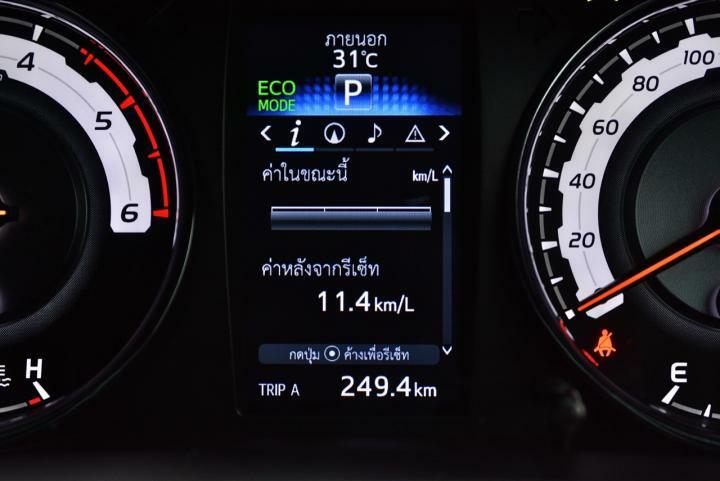 When viewing various notification details Of the small screen, it will be found that the top of the stuffed REVO Rocco MID screen is capable of notifying various values Of the vehicle to be loaded such as the position of opening each door / trip meter, a / b / outside temperature / calculate the volume of fuel consumption in liters per kilometer / fuel in the tank per distance that can run to / status Of driving and saving ratings in ECO mode / position of 6-speed automatic transmission / etc. 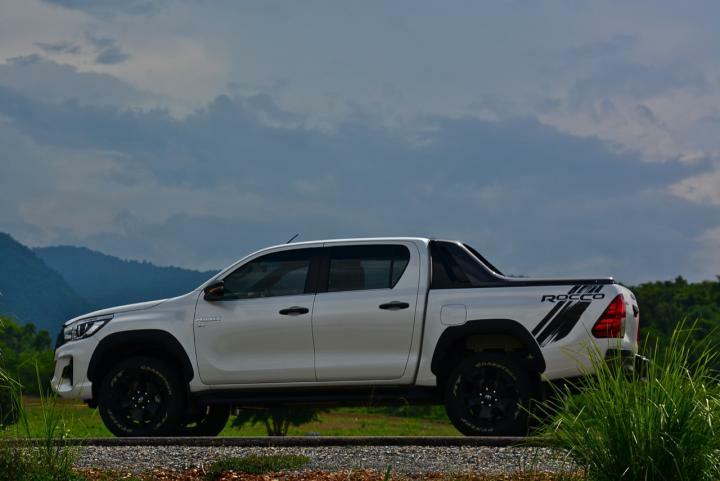 In the part of the 4-wheel drive gear, which is available in both 5-speed manual and 6-speed automatic transmission in Rocco 4×4 2.8GA / T, is a 6-year automatic transmission. 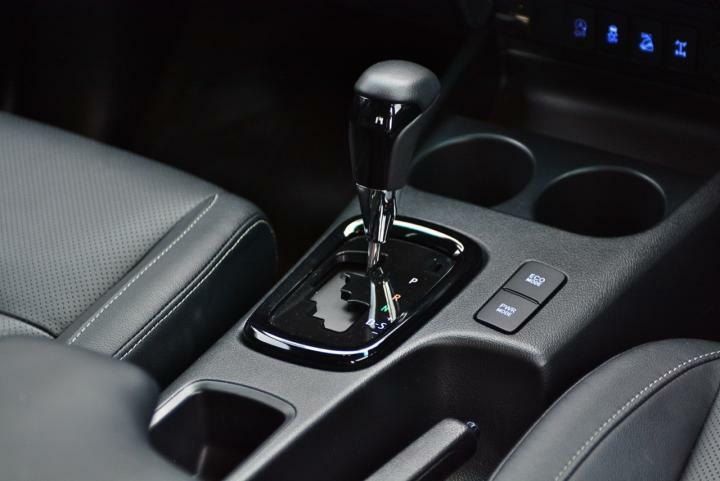 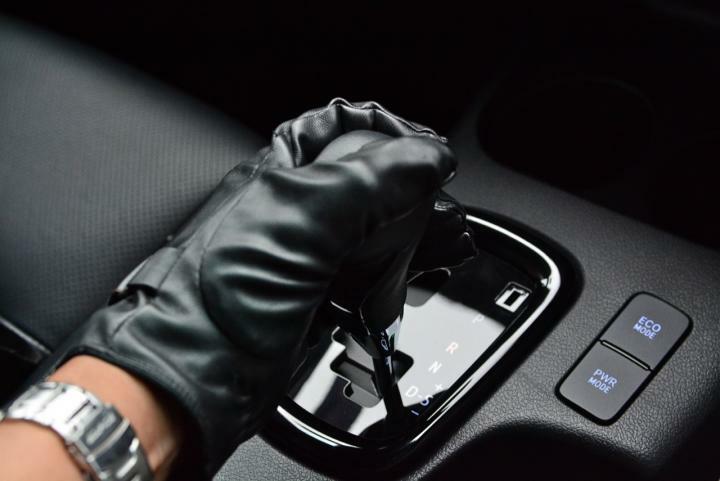 Connected to the 4-wheel drive system, with a gear lever and gear groove designed for precision in the gear position selection The gear groove design is wavy to prevent the shift lever error. 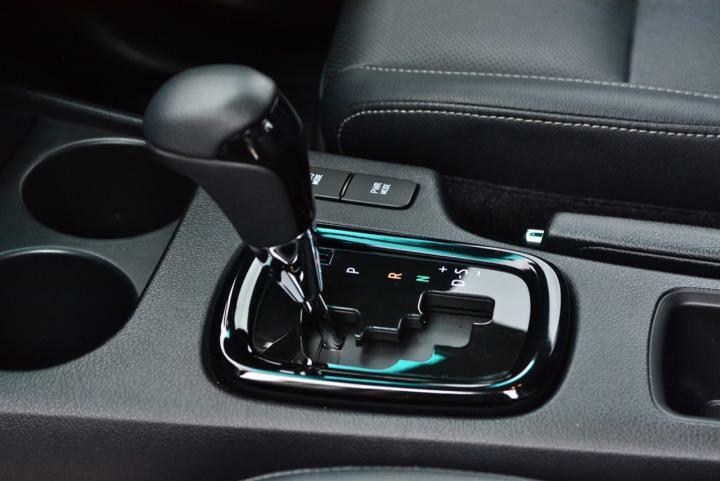 When pushing the gear lever on the right side, it will immediately enter the manual transmission mode. 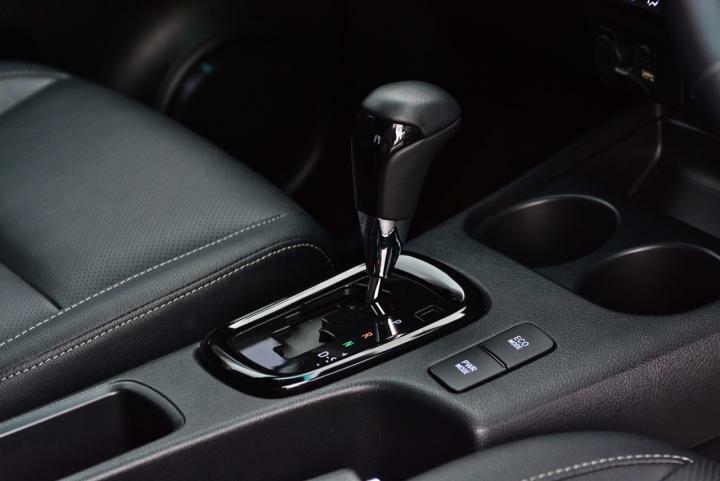 The gear shift through Sequential Shift gives a feeling of responsiveness to changing gears. 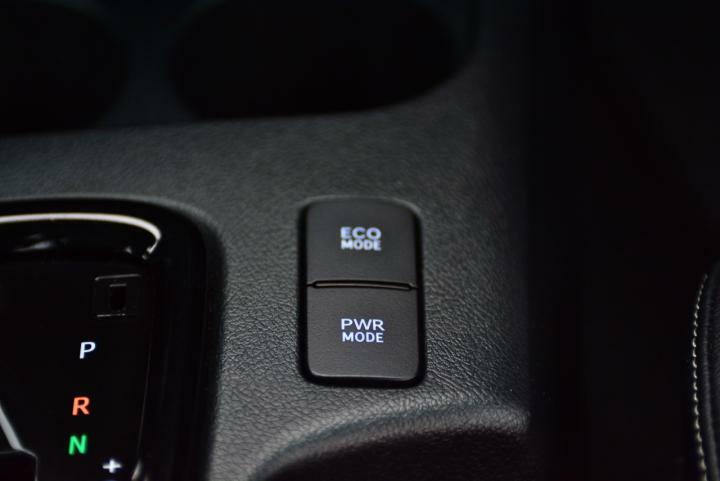 Beside the gear lever of the Hilux REVO Rocco has a switch to choose from two driving modes Is ECO saving mode and Sport mode or Power Mode to choose from Brake lever and armrests close to the handbrake lever, designed to be a box for storing CD / DVD. 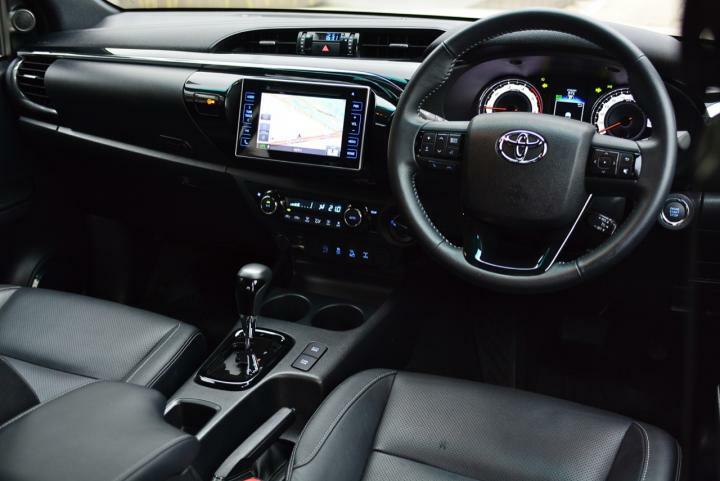 The temperature control unit is beautifully designed, similar to the Toyota Corolla New Altis coupe with a digital air control unit. 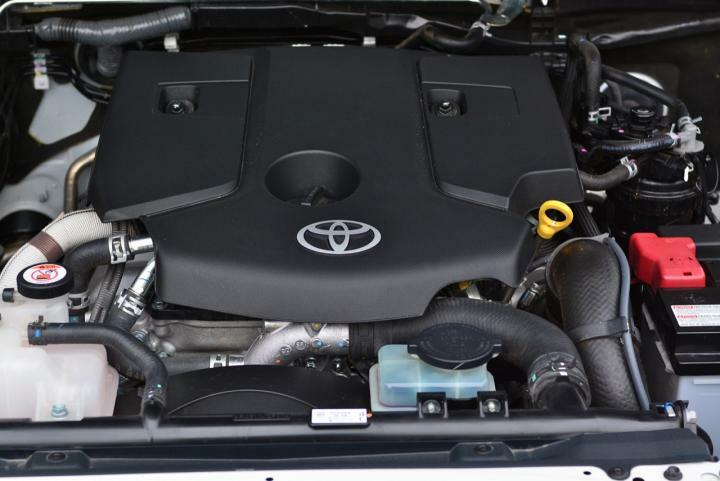 The air inlet in the back also comes to help distribute the cool air. 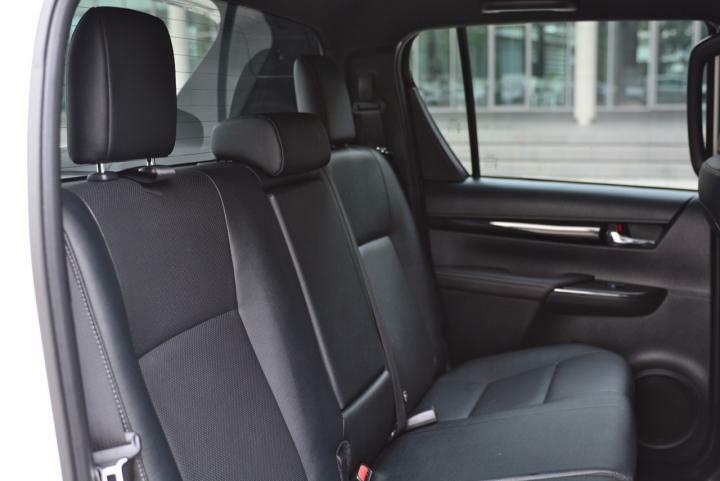 Blow to the rear passengers to be cool on a hot day as well. 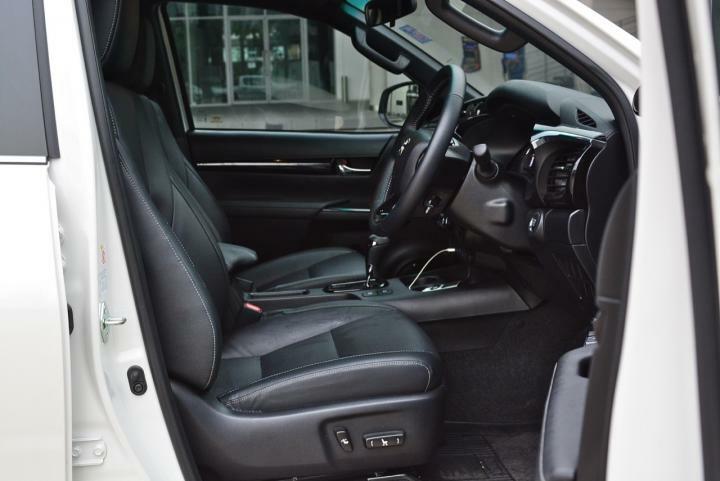 with leather, air-conditioned, decorated with metallic black strips. 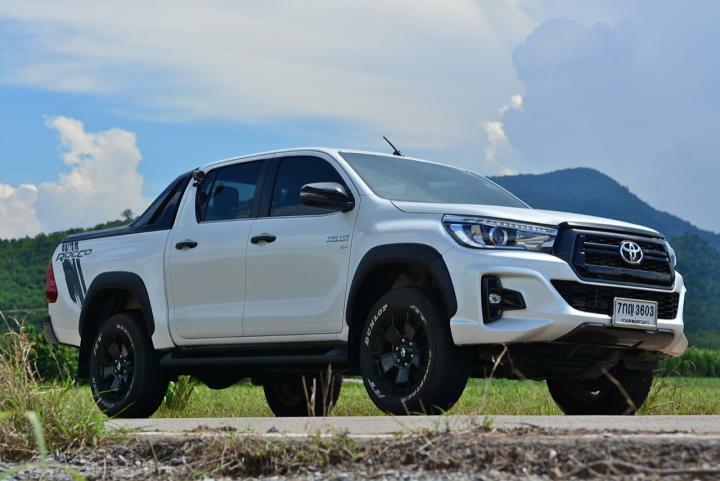 Hilux REVO Rocco, the highest model of diesel engine, code 1GD-FTV (High), volume capacity 2.8 liters or 2,755 cc, turbo compressed air system Intercooler VN-Turbo Cylinder width 92.0 mm Stroke 103.6 mm Compression ratio 15.6: 1 Maximum horsepower 177 hp at 3,400 rpm Maximum torque 420 Nm at 1,400 – 2,600 rpm Mounting system Stop and Start with Evaporator for cooling air conditioning system to reduce pollution while parking, moving 1GD-FTV engine, fueling with common rail injection direct injection Paired with a 6-speed automatic transmission system, Sequential Shift is a 4 wheel drive automatic transmission with Differential Lock at the rear gear system. 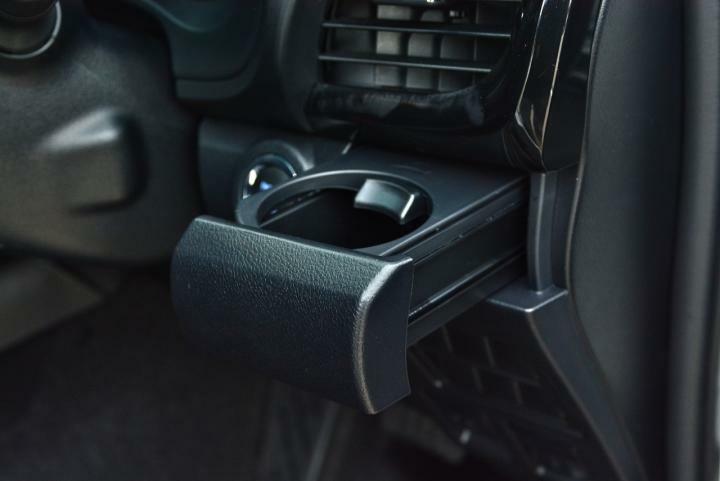 The side is independent, double wishbone with spring coil and stabilizer bar. 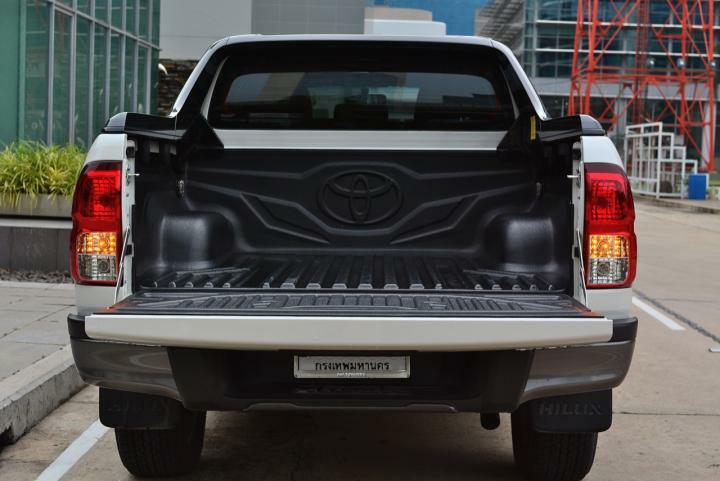 The back is stacked Steering system uses rack and pinion steering With power to help relieve stress Turning radius 6. 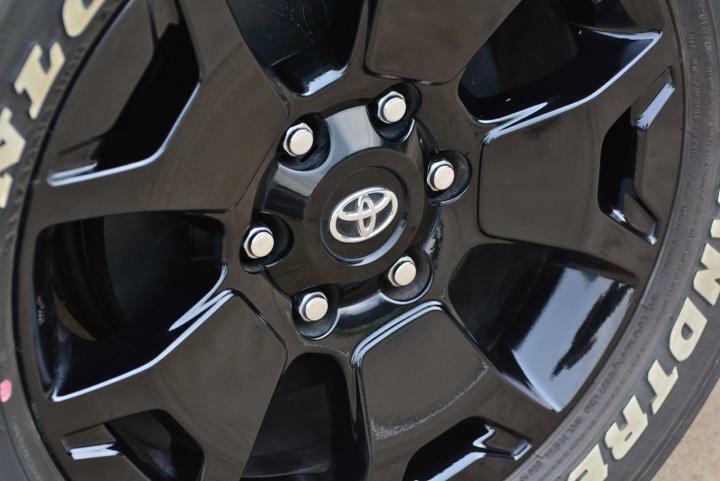 4 meters front brake system is a disc brake With cooling fins The rear brakes are drum brakes. 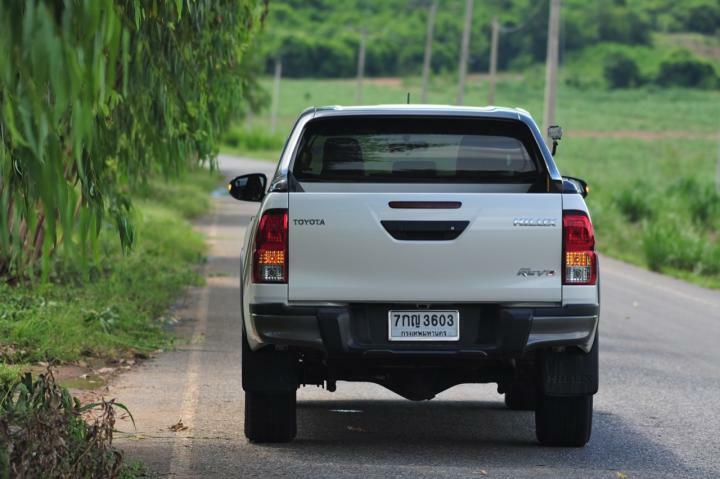 Although the bottom of the Hilux REVO Rocco has a style and looks similar to the Hilux Vigo elder, but details Of the diagram below The size, width, length and height of the various parts in the supporting system, such as the shock absorber cylinder, the size of the rubber used to cover the lower back is different in numbers. 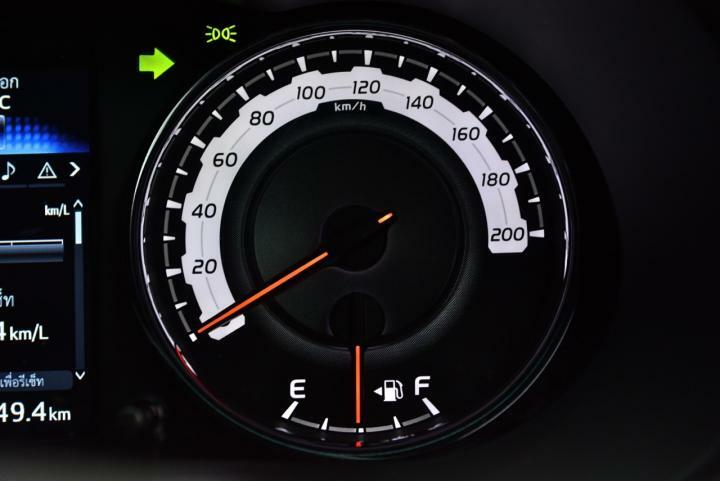 Including the length of the tweezers, the K value of the spring, the stretching and the collapse of the shock absorber The size of the ball joint, the rubber ball, the bow handle, the tire transmission, the engine stand, the gear rack, the steering column, the axle, and the parts in the steering set differ in terms of dimensions. 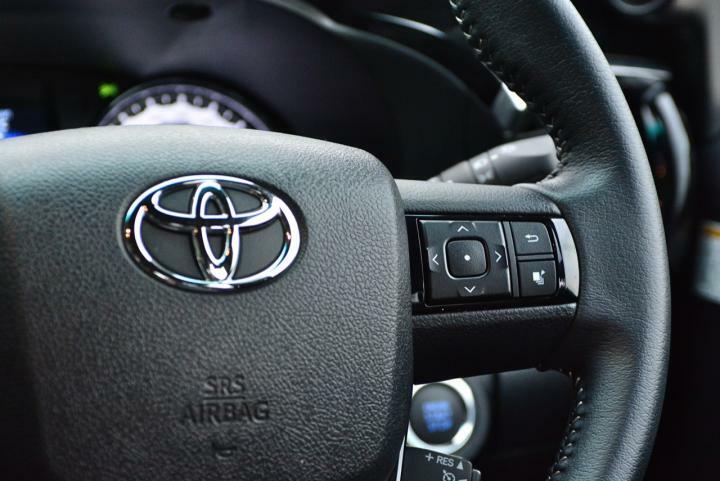 Although not very much, but it has resulted in the feeling behind the wheel as soon as it has been tried. 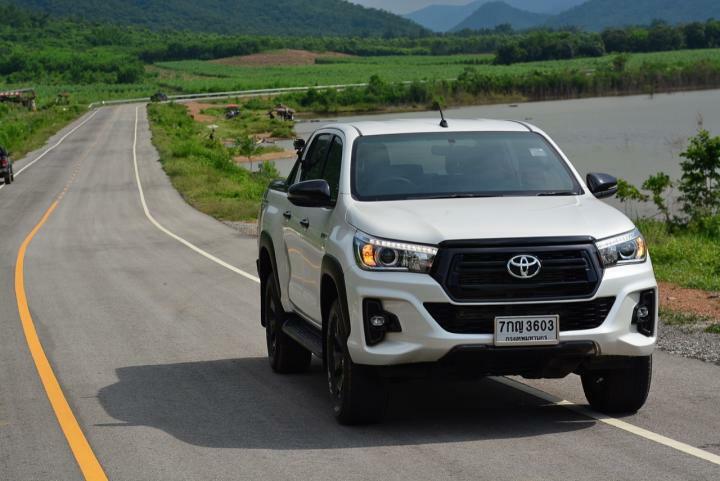 The 6-speed automatic gearbox with Sequential Shift has a trip position to allow the driver to chase or choose the gear position by himself when running through the steep mountain top. 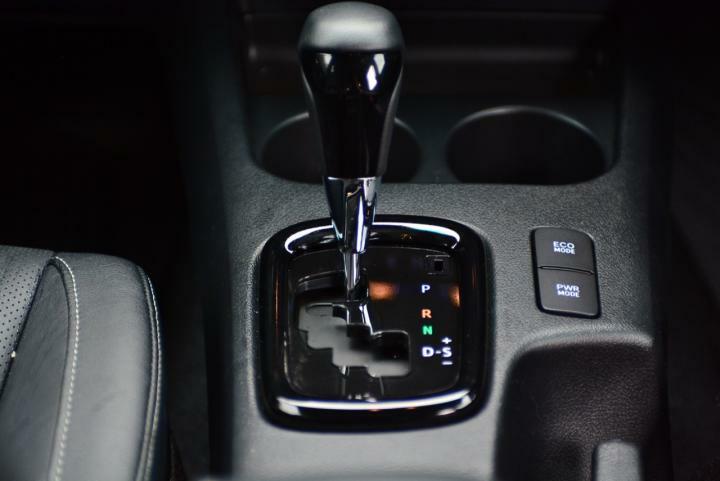 Auto gear in position D changes the pace by itself according to the program that is placed in the ECU electrical box connected to the 6-speed automatic transmission engine control box with Sequential Shift performing well enough to Torsion force Electric mechanism prevents gear damage From the timing of the wrong gear when the engine is not related to changing gears or lowering the gear, it helps prevent premature transmission. 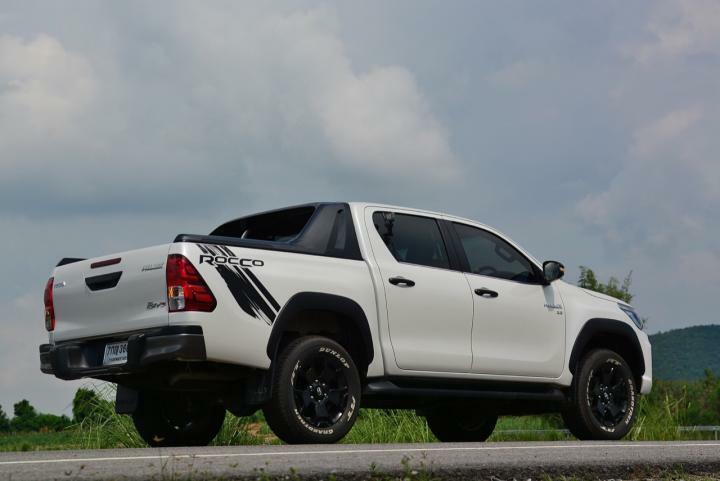 The stabilizer of the Hilux REVO Rocco, the top model is actually reduced. 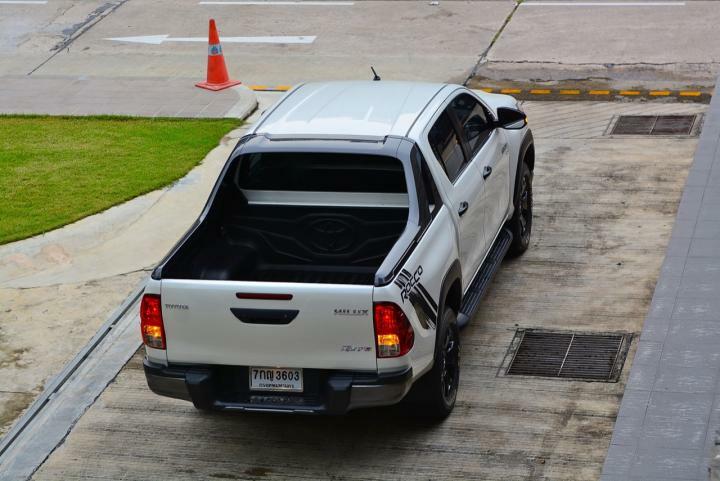 But still still have some symptoms It is the nature of this high lift truck that cannot get rid of the body. 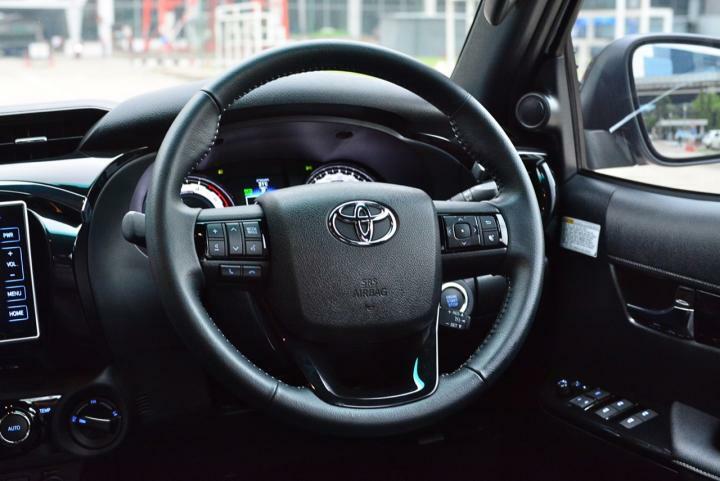 Therefore, it is necessary that the driver must use caution when driving, especially when driving quickly. 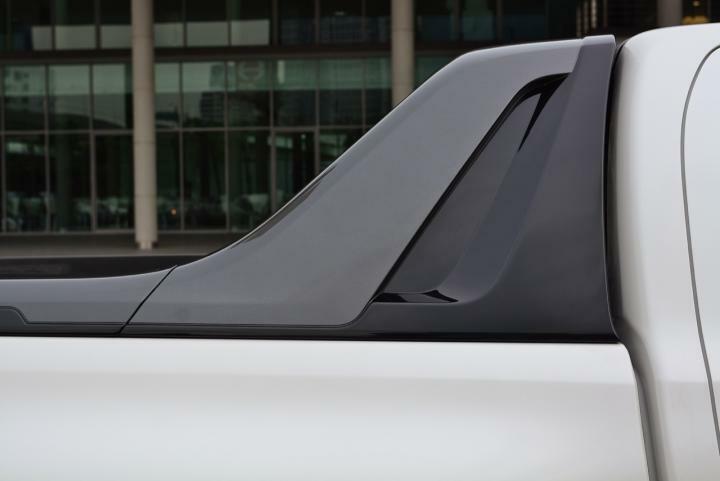 The curve should be completed with the body. 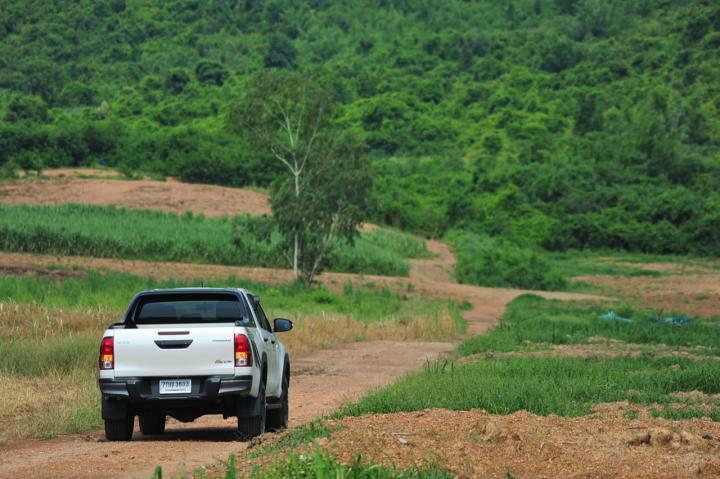 Or reduce speed before breaking the steering wheel according to the condition of the curve No need In order to create a danger for yourself and your family by driving the pickup truck to raise the speed too quickly Should reduce speed every time before cornering Even though the running path is a familiar route Especially when the rain falls on the mountain path, it is possible to lift the throttle down for safety. 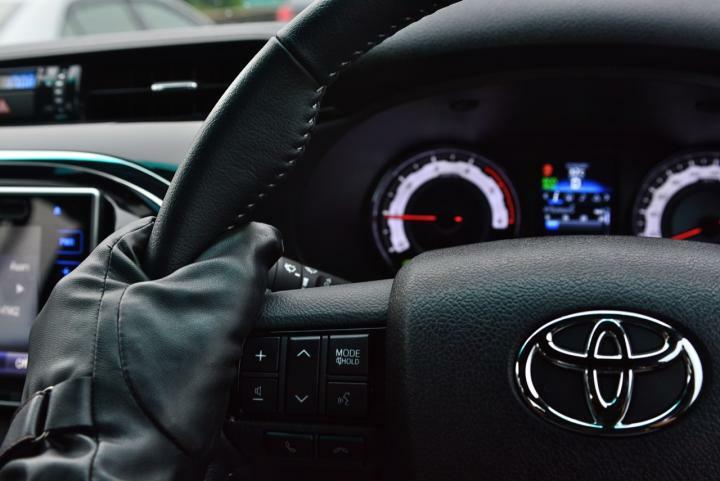 If you think that you are skilled in master control and like driving fast, do not pay attention to warnings along the way, such as dangerous curved warning signs. 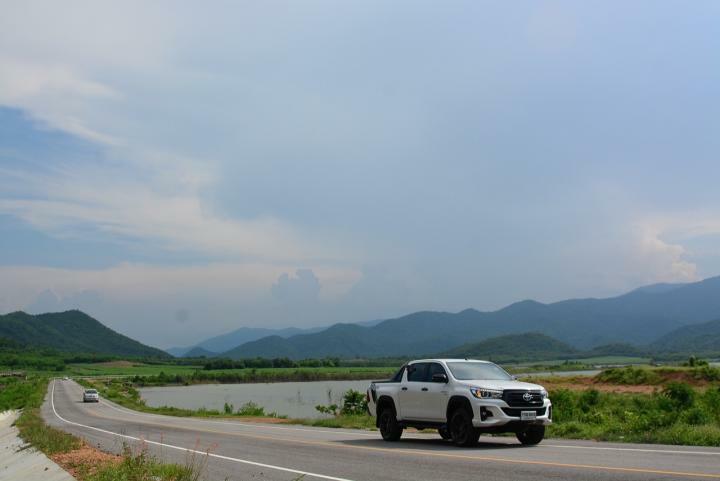 Warning sign to reduce speed or use low gear when running downhill When you don’t pay attention to the sign You may end up under the valley. 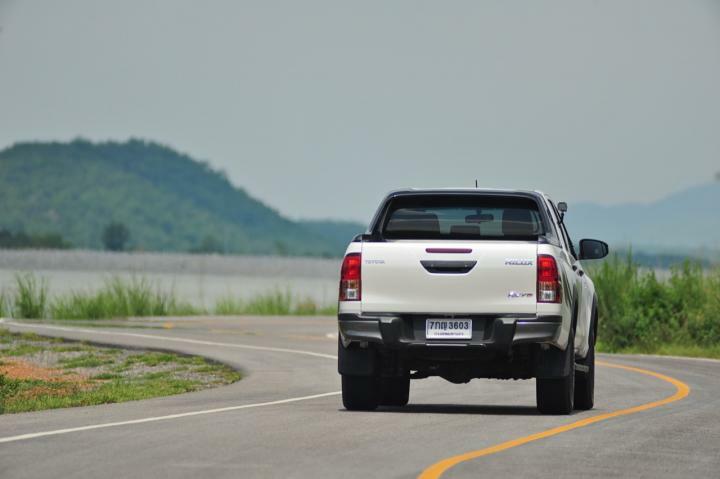 Trees on the roadside or falling into the water canal are highly likely. 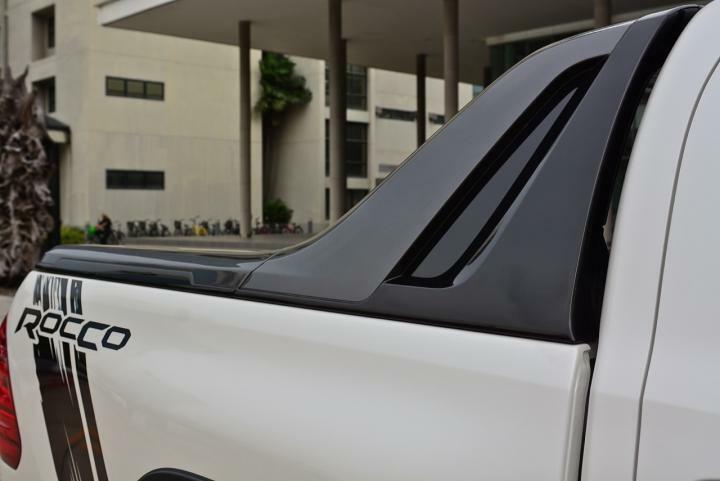 Drive the pickup truck every time. 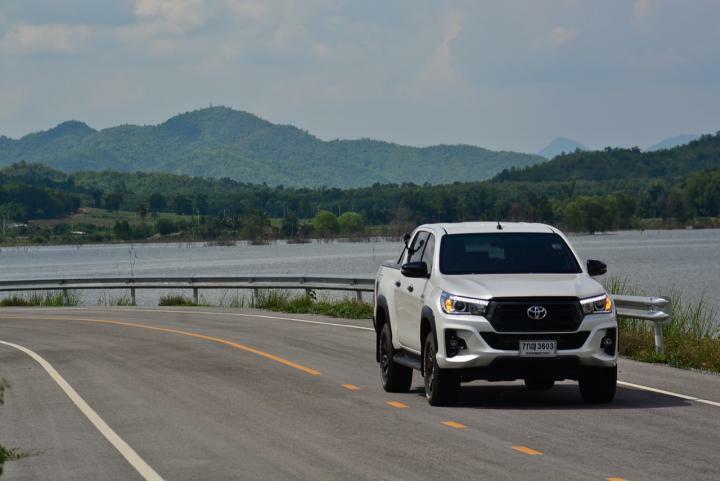 Should reduce the speed relative to the condition of the route Safety considerations A careful view of accidents when driving a pickup truck in the rainy season will make you and your family reach your destination without any scratches. 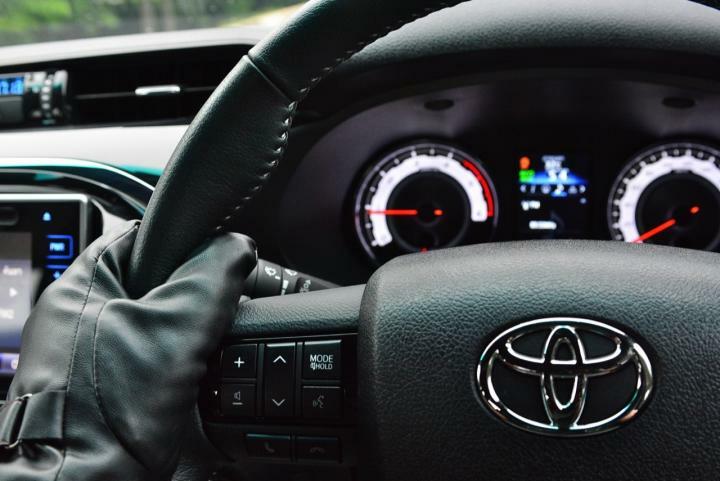 Do not believe But the driver that is told to be safe should go and try it out. 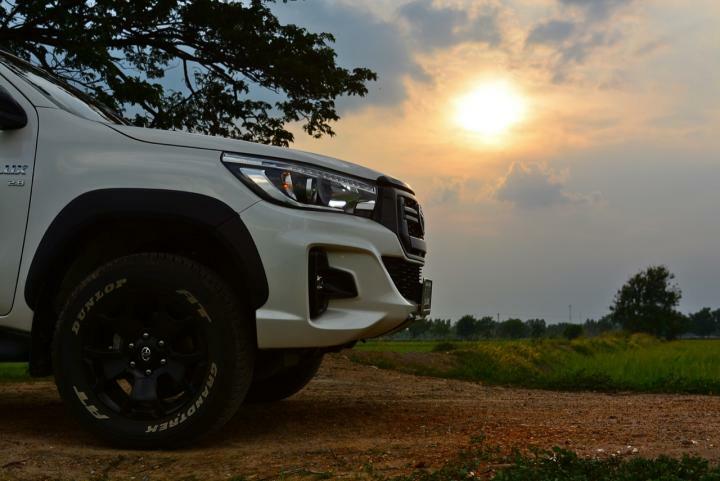 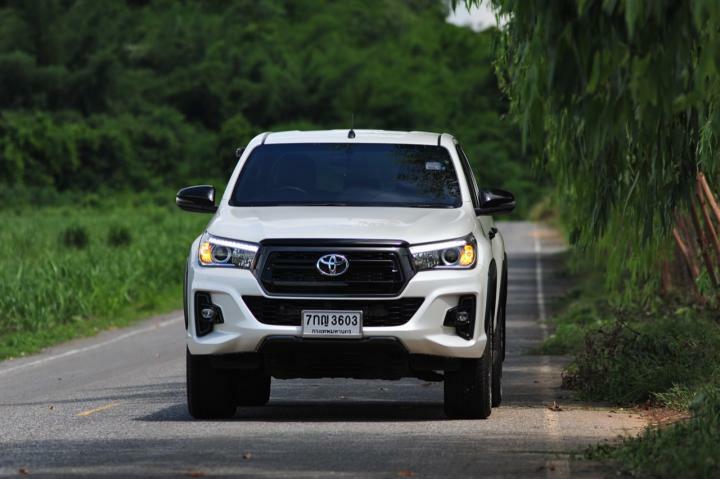 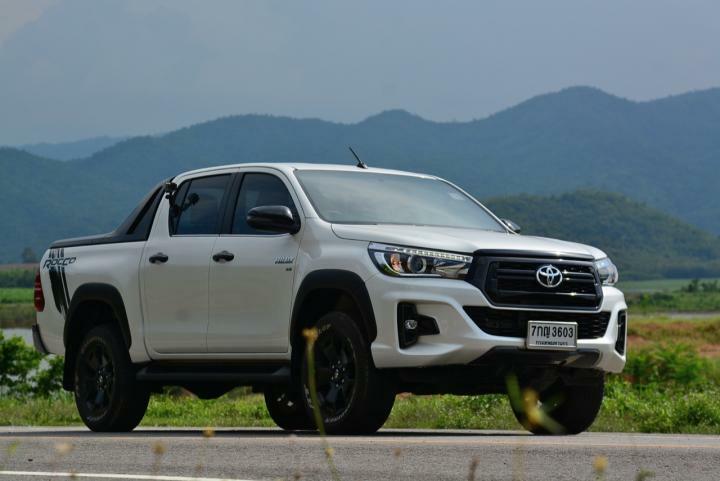 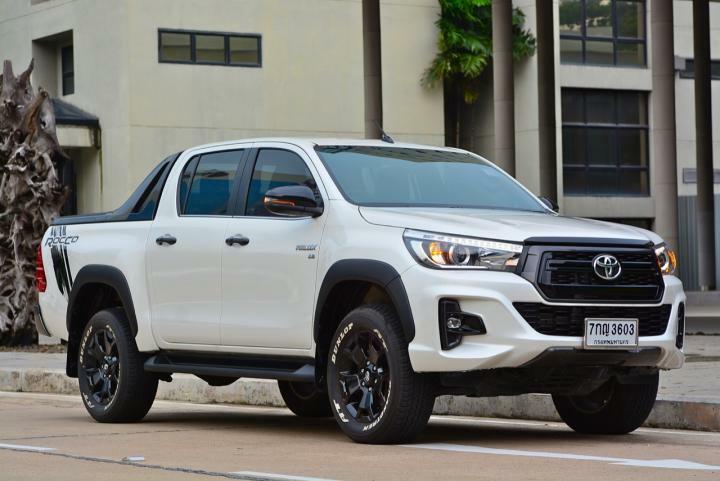 Safety equipment compression to make New Hilux REV Rocco more superior than competitors’ pickup trucks GOA safety structure, 7 airbags around the car HAC Hill start Assist Control The DAC Downhill Assist Control helps to increase safety in the high-end pickup truck. 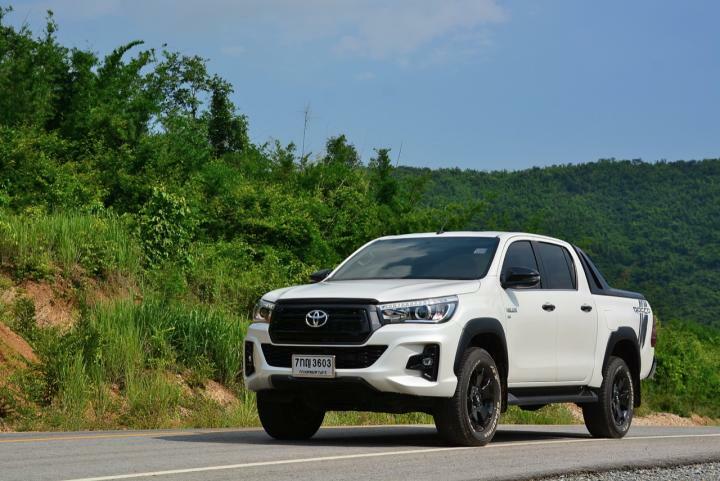 VSC Vehicle Stability Control ABS Anti-lock Braking System TRC Traction Control Braking System BA Brake Assist EBD Electronic Brake-force Distribution and Control System Staggering of the TSC Tralier Sway Control, etc., all of which are sure that there is no way to use it all at once. 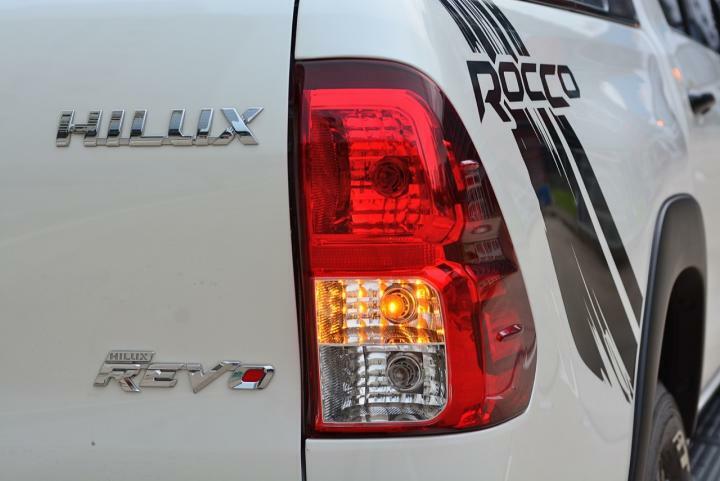 Driving technology that comes to increase the safety of all Hilux REVO Rocco 4×4 2. 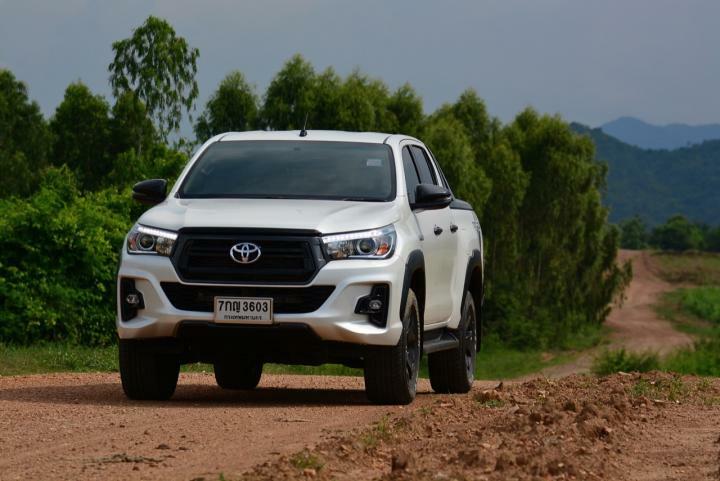 2.8 liter capacity diesel engine with compressed air with variable turbo With a maximum power of 130 kilowatts or 177 horsepower, more than enough to pull the rubbing of this muddy, deep-seated muddy groove. 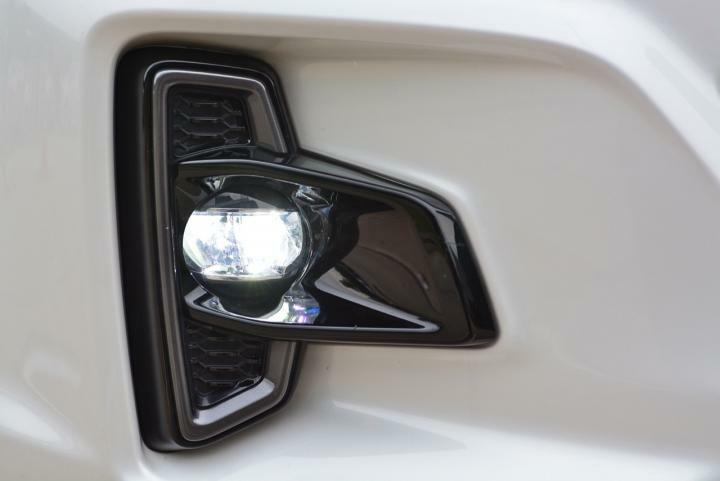 Maximum torque up to 450 Nm and come in around 1,400 revolutions per minute, making it a top model or cheap single head REVO. 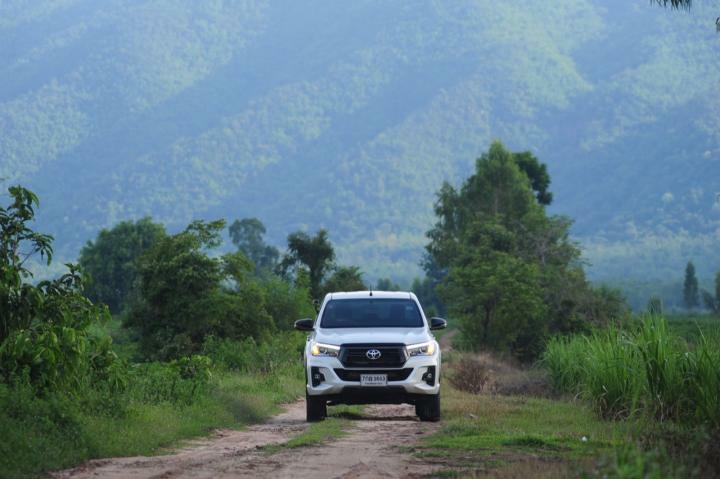 Able to easily show the power of survival from the brutal path 1GD-FTV (High) diesel engine with VN Turbo variable air compressor and intercooler that helps reduce the temperature of intake There is enough superiority without the need to turn to play a larger diesel engine, which is large. 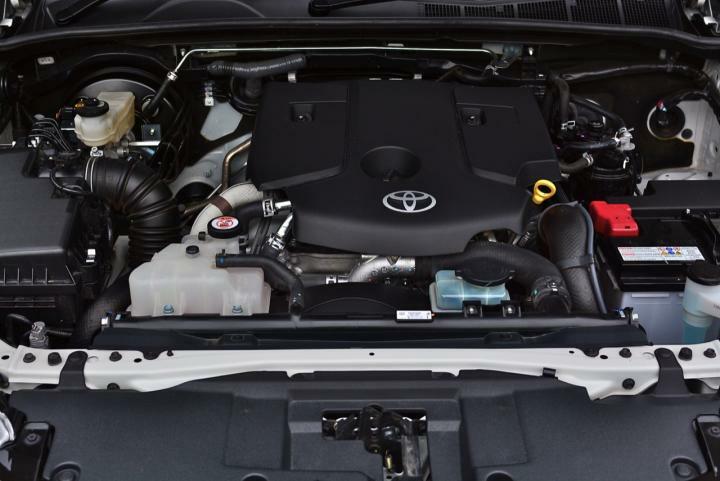 Heavy and consume fuel The Toyota 4-cylinder engine is compact in size, lighter than older engines. 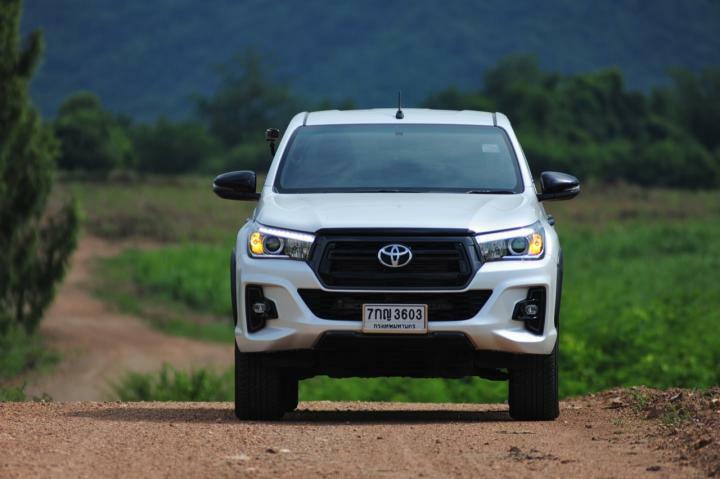 Helps to save fuel Although the torque is inferior to the previous model Hilux VIGO, which placed the diesel engine 3. 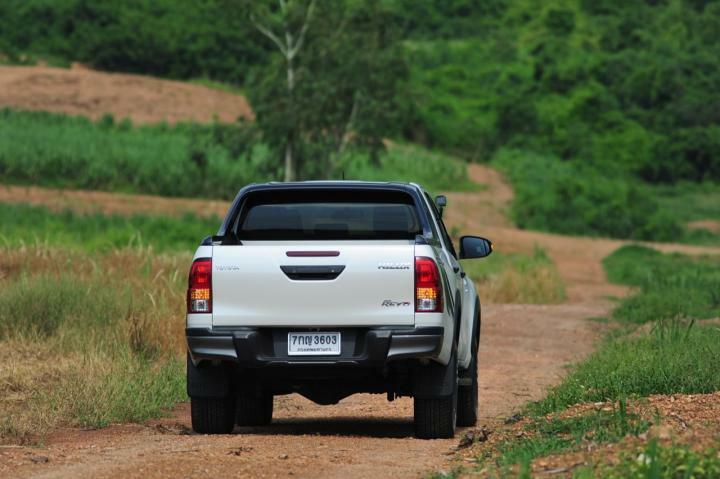 0 liters, but the fuel consumption of the 1GD-FTV is better Eat more and have higher pollution. 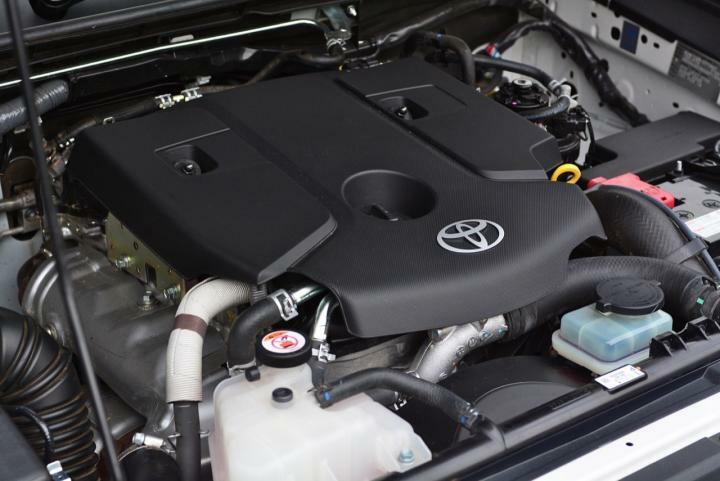 The torque of 450 Nm is abundant for everyday use. 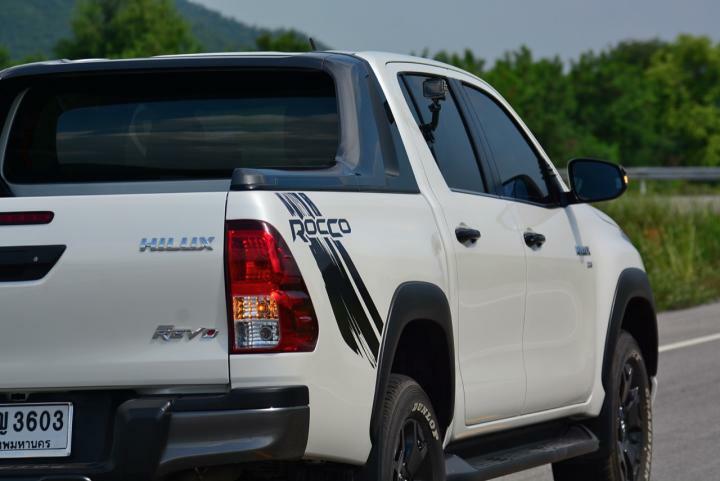 There is no need to drive the new Rocco to the top of the speed model. 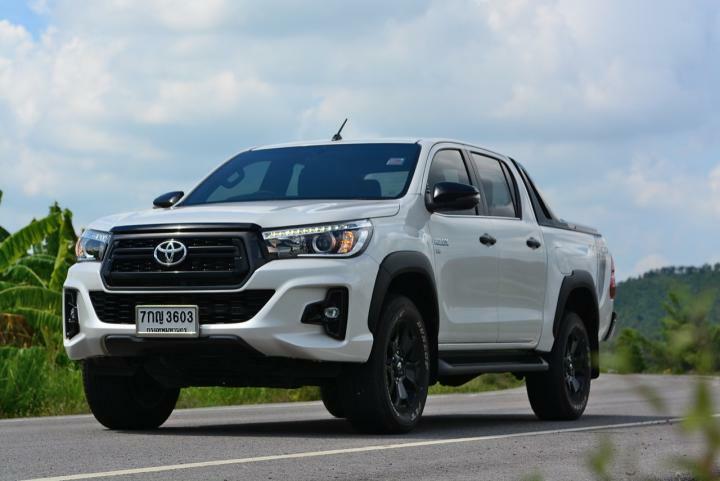 Due to the style of the car that is a pick-up truck for a wide range of uses, rather than fast racing on the road, even though the area of ? 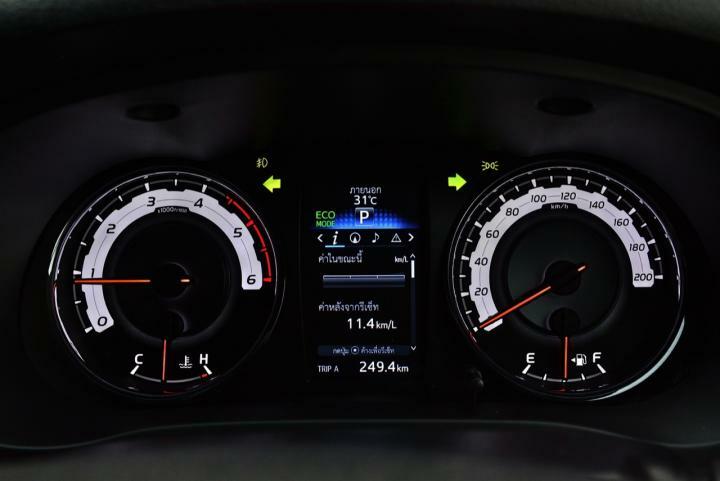 ?torque and entertainment behind its steering wheel will tempt you to drive faster. 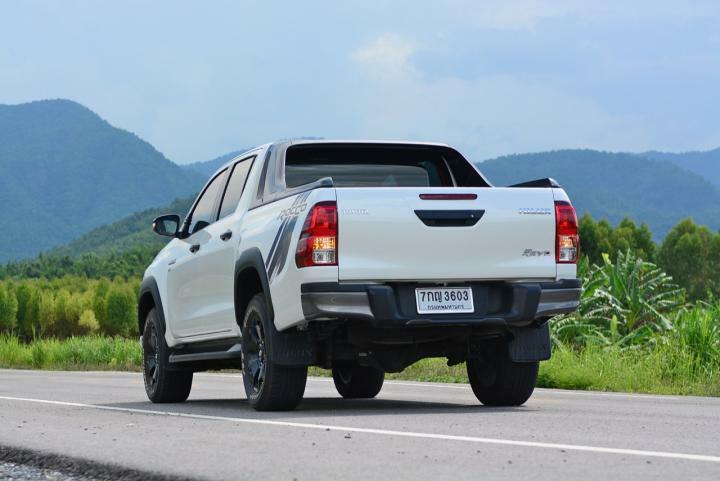 Any Position, sitting position, driver placement and well designed Causing it to drive all day, not to be very shaken like other brands The suspension was completely rebuilt, giving both the toughness and the softness that is hard to find in pick-up trucks with the Chevrolet Colorado in terms of softness when brought to the rough trail. 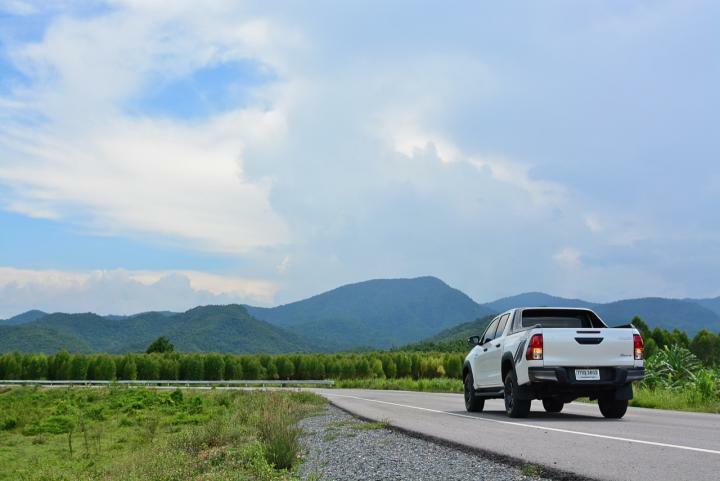 Some of the stabilizer symptoms occur, which must be careful when using speed. 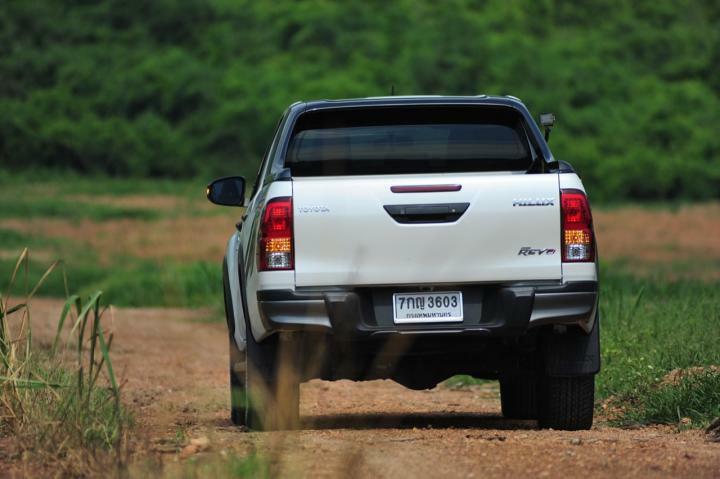 It is the Hilux species in the latest version that must be tried to drive. 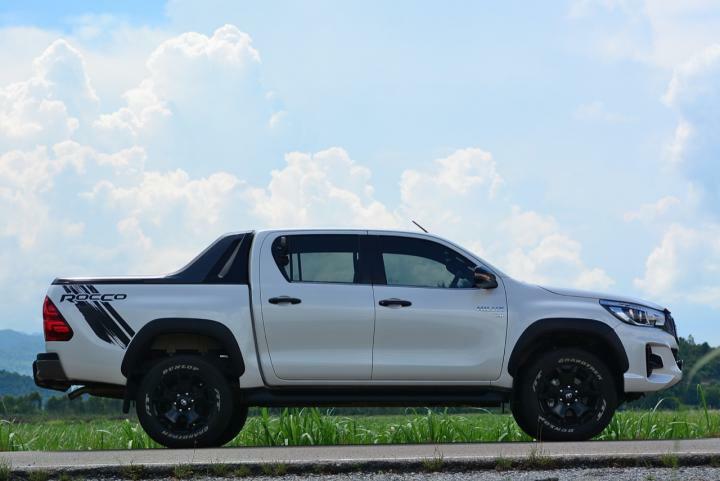 To understand that the suspension is tight And how to assemble the cabin that emphasizes strength and silence Try to run on the rough surface, see for yourself, will know that the new suspension and the car assembly of the Toyota Hilux REVO Rocco is clearly superior to some brands. 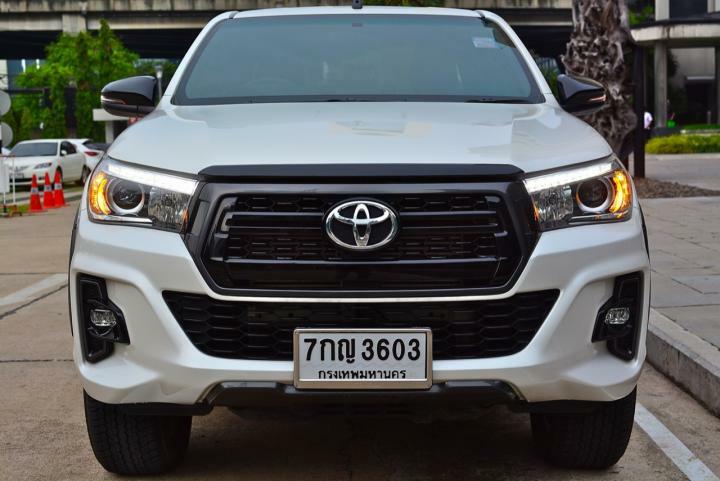 The price of 1.189 million baht is a little expensive. 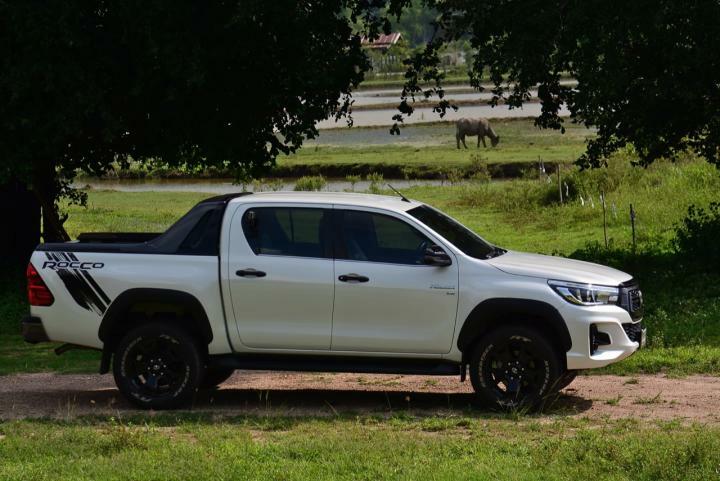 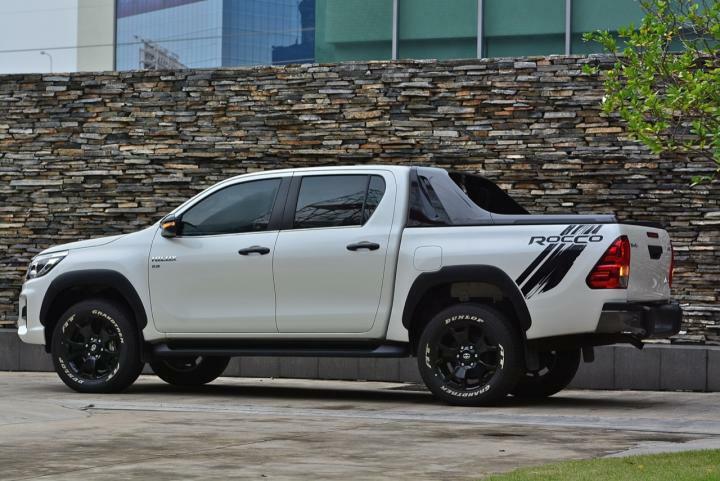 For the pickup truck market now If looking for freshness as an alternative to buying a high lift pick-up truck, driver 4 must admit the coolness of the performance of the Toyota Hilux REVO Rocco as well. 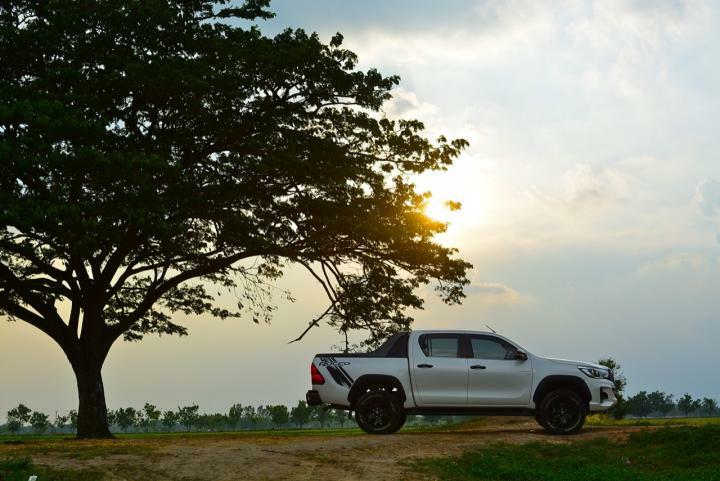 Good things are not cheap. 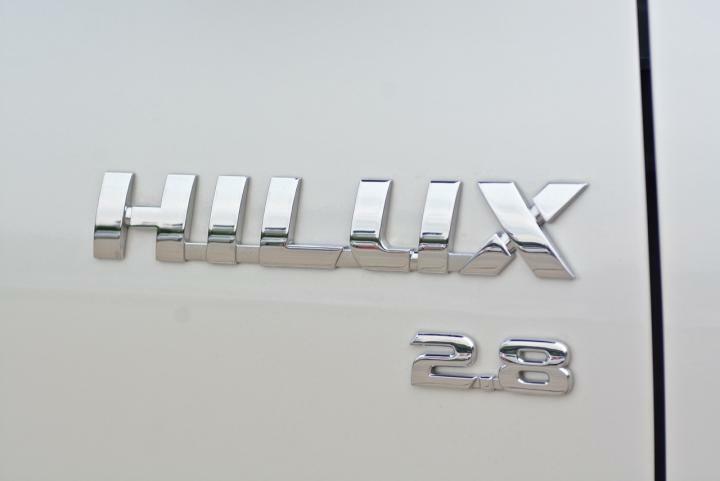 Don’t believe it. 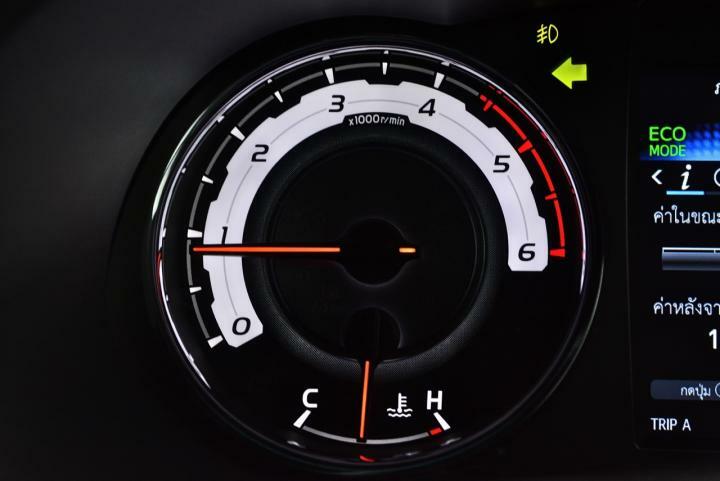 , maximum torque ………………………………. 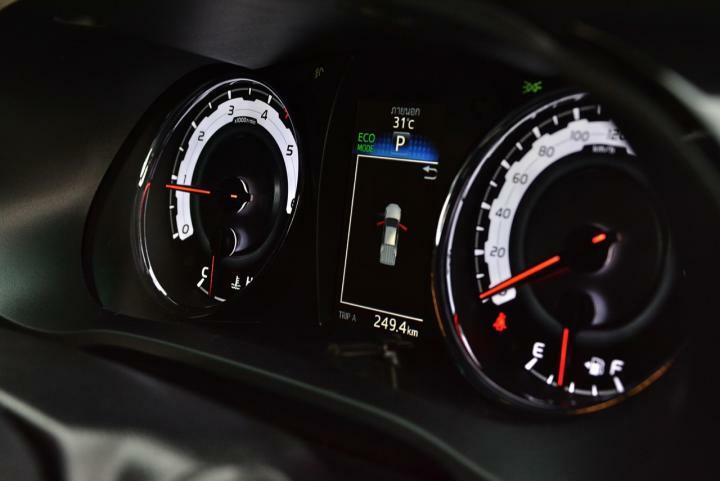 …….. 450 Nm at 1,600 – 2,400 rpm.